Back in 2005 I stumbled across news that Porsche would soon offer a new two seat mid engine sport coupe. As a long time Porsche fan, and someone who was between Porsches at the time, I was instantly intrigued. The new model would be called the Cayman. I read and absorbed all of the information I could find. After a year of research I couldn't take it any more. I finally placed an order. It's hard to believe that so many model years and so many miles have gone by in my Cayman since then. Viewing Tips: There are lots of pictures, videos and hidden specifications within these articles. Click on them to enlarge, play or unhide them. Mid engine cars are nothing new to Porsche. Glancing through Porsche's history, we can find lots of them. In fact, the very first Porsche, the 356 prototype, had a mid mounted engine. As the 356 went to production the engine was moved to the rear to reduce production costs and make more interior room. Moving forward through history, we can see that Porsche has created a lot of mid engine Race Cars. In numeric order, there was the 550, 718, 904, 906, 907, 908, 910, 917, 956, 962, GT1 and the RS Spyder. Many of these race cars rose to legendary status and delivered Porsche a broad portfolio of motorsport victories. So why is it then that Porsche has developed so few mid engine street cars? Between 1948 and 2005 there were only a handful. The 914, the Boxster and the Carrera GT. Well, it looks like Porsche is going back to their racing roots because in 2006 they introduced a new mid engine street coupe, the Porsche Cayman S.
The Cayman S was created on the new 987 Boxster platform, and given a new body shell that includes a fixed hard top. Lots of people have referred to the Cayman as a Boxster coupe, but its mixture of DNA is actually a little surprising. 50% of the parts that make up the 2006 Cayman S come from the 911, 30% come from the Boxster and 20% of them are new and unique. Regardless of the recipe, one thing is for sure - In 5 years the Cayman has carved out a real name for itself and brought new owners into the Porsche family. There are many characteristics that contribute to the personality and appeal of the Cayman model. Great looks, smooth predictable power output, razor sharp handling and confidence inspiring driver feedback are just a few. 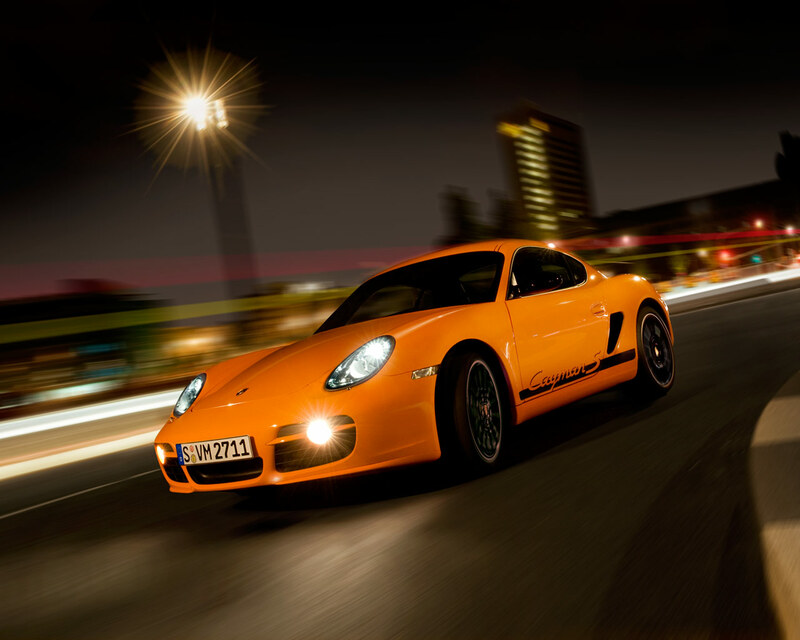 Lets take a look deeper into the secret recipe to see what makes the Cayman S instantly Porsche. 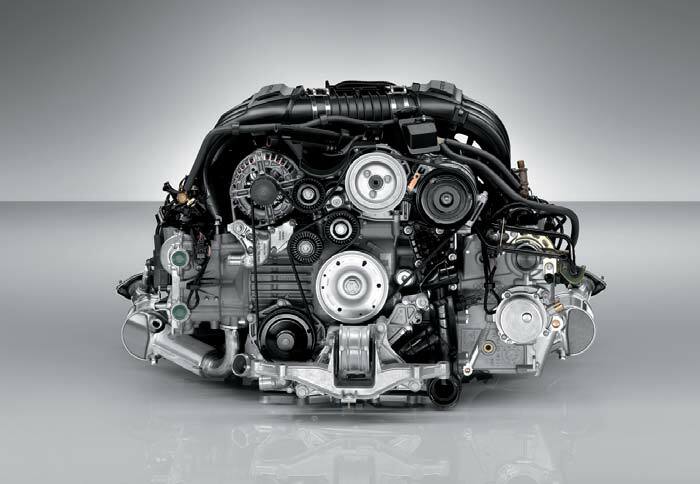 The engine is new, an M97.21 that shares the bore of the 911 Carrera (96mm) and the stroke of the Boxster S (78 mm). This combination results in a displacement of 3.4 liters (3,387 cm2). Supplied with the heads from the Carrera and the camshafts from the Carrera S, the M97.21 develops an impressive 295 horsepower and 251 ft-lb's. of torque. But it's not the value of these numbers that's so impressive, it's the way in which they are delivered. The M97.21 makes 91% of it's torque available as low as 2,500 RPMs, with full torque available from 4,400 - 6,000 RPMs making the Cayman S very easy to drive and eager to accelerate. VarioCam Plus is the latest enhancement to electronic valve train control (in 2005). 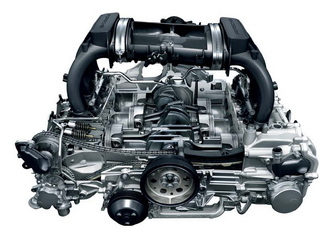 The VarioCam that we've seen in earlier Porsche models is able to vary valve timing and overlap. VarioCam Plus is able to vary valve timing, overlap, lift and duration. 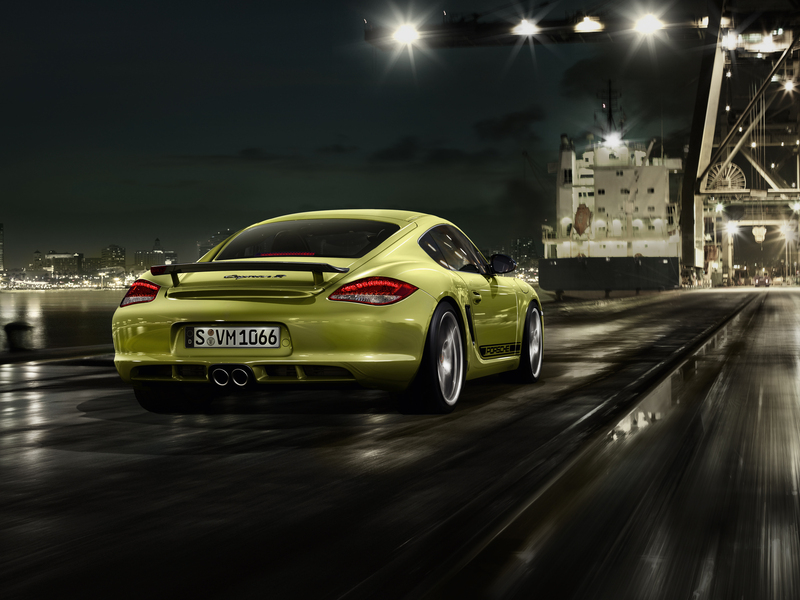 This added control allows the Cayman S M97.21 to have two personalities. One is docile and gentle, delivering smoothness, ULEV4 cleanliness and fuel economy. The other is angry and aggressive, delivering adrenaline rich sport car power and torque when asked to sprint. 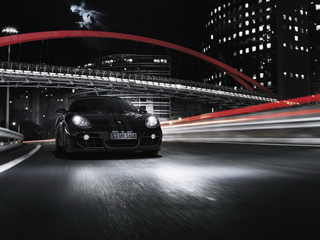 Like most Porsches, the Cayman S rides on McPherson Strut suspension front and back. 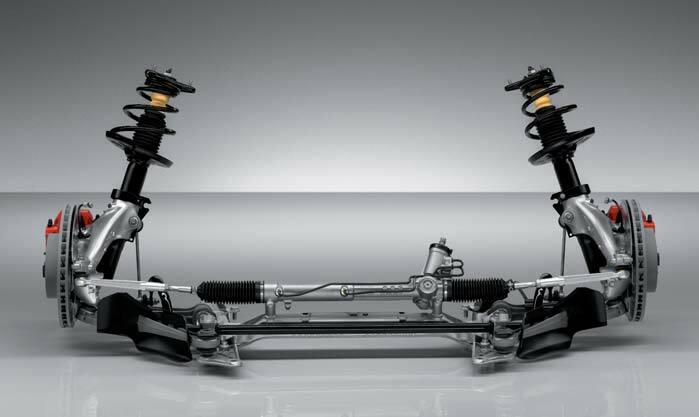 In 2006, there were two suspension options on the Cayman S. The 'Standard' suspension, and the 'Porsche Active Suspension Management' system, also known as PASM. The Standard Suspension is very much like that of the Boxster S but not identical. A soft top car is usually made from a hard top variant, and the removal of the top usually results in lost rigidity. The Boxster was engineered to be a soft top from day one, so its chassis was made to be rigid without depending on a top for strength. When you add a fixed hard top to an already rigid chassis like that of the Boxster, you end up with a chassis that delivers exceptional flexural and torsional rigidity. This added rigidity allowed the creators to supply the Cayman S with firmer springs and dampers without sacrificing ride comfort. 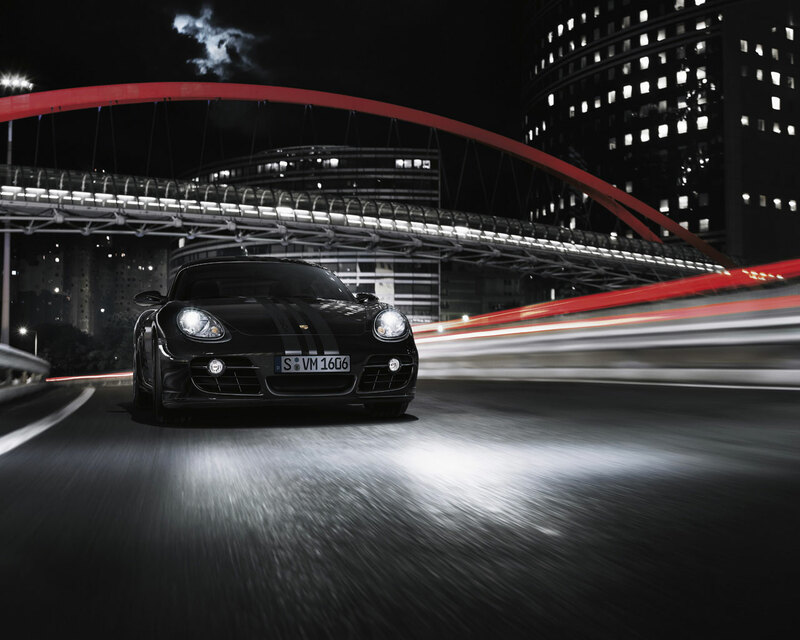 This sport tuned suspension gives the Cayman S a very sporty personality. The car is taut and rock solid. Turn-in is crisp and body roll is impressively flat. The 'Porsche Active Suspension Management' system cost $1,990 in 2006. To this day this is one of the most misunderstood options available on a Cayman. Most people assume that because this suspension package is optional, and because it has a Normal/Sport button, that it must be more aggressive than the standard suspension and/or only beneficial on track driven Caymans. This assumption could not be more incorrect. PASM is both more aggressive and less aggressive than the standard suspension. But most of the time, it's less aggressive. PASM damping rates are continuously variable based on many different inputs and driving conditions (with emphasis on "continuously"). The PASM system watches vehicle speed, steering inputs, braking pressures, engine torque output, lateral and longitudinal G forces, individual - axle specific and whole vehicle vertical wheel movements, ride height and so on. Damping rates are adjusted dynamically to aid the specific driving condition. For example, during hard braking, PASM will stiffen the suspension front and rear to prevent nose dive and rear end lift. During lane changes, PASM will tighten the damping rates to prevent body roll. Conversely, if PASM senses a rough surface that might compromise traction, it will soften the damping rates to keep the wheels planted. All of these decisions and adjustments happen in milliseconds. PASM is really one of the most sophisticated computer controlled suspension systems available. 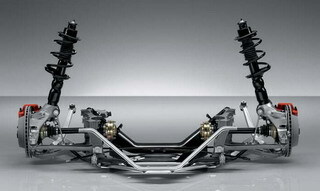 PASM does incorporate the use of stiffer springs that lower a Cayman S by 10mm. PASM also comes with a stiffer front anti roll bar. Despite these more aggressive springs rates and roll bar, PASM equipped cars will offer a significantly more comfortable ride than standard suspension cars will because of its ability to vary damping rates over a much wider range. The chart to the right shows an overlay of the PASM and Standard damping rates. 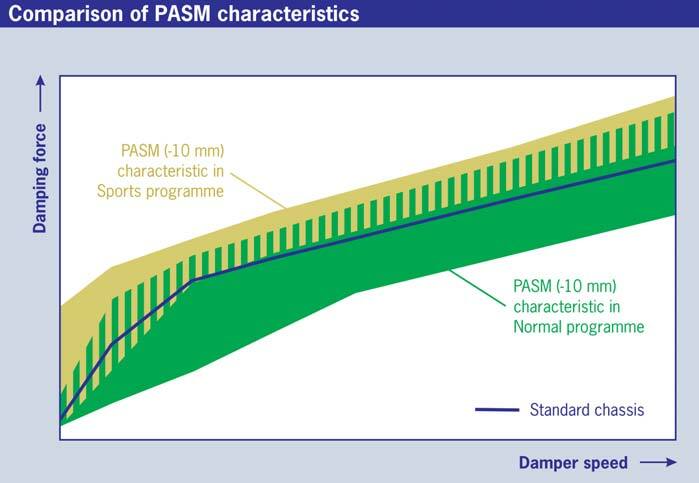 We can see that in PASM 'Normal' program, the PASM system will vary damping rates from much softer rate than standard, to a somewhat more aggressive damping rate than Standard. In PASM 'Sport' program, we can see that PASM will vary damping rates from about the same as standard, to much more aggressive. PASM is just as much a comfort option as it is a performance option. The system allows you to have the best of both worlds. You can cruise in comfort, or carve turns with attitude. You can press the button, or let the computers decide the perfect damping rate. The 2006 Cayman S gets the 'Big Red' brakes from the Boxster S, sporting 12.5" rotors up front, 11.8" rotors in the rear, both clamped by patented 4 piston monobloc calipers made for Porsche by Brembo. The open top design of the calipers makes brake pad swaps possible without removing the caliper. Brake boost is provided by a mechanical vacuum pump so boost levels will not drop from long applications of wide open throttle like systems that use manifold provided vacuum. Cooling is well thought out, using the air flow from the radiators to keep the braking system cool, but not so cool that aggressive brake pads can't be safely used. When you think about a 2 seat Porsche, storage and comfort typically aren't the first two things that come to mind. Typically, Porsches are designed to be driving machines. Vehicle performance and driving dynamics come first. If you like bells & whistles, a Porsche may not be the right car for you. If you've owned any older Porsches, chances are your expectations aren't really high here. 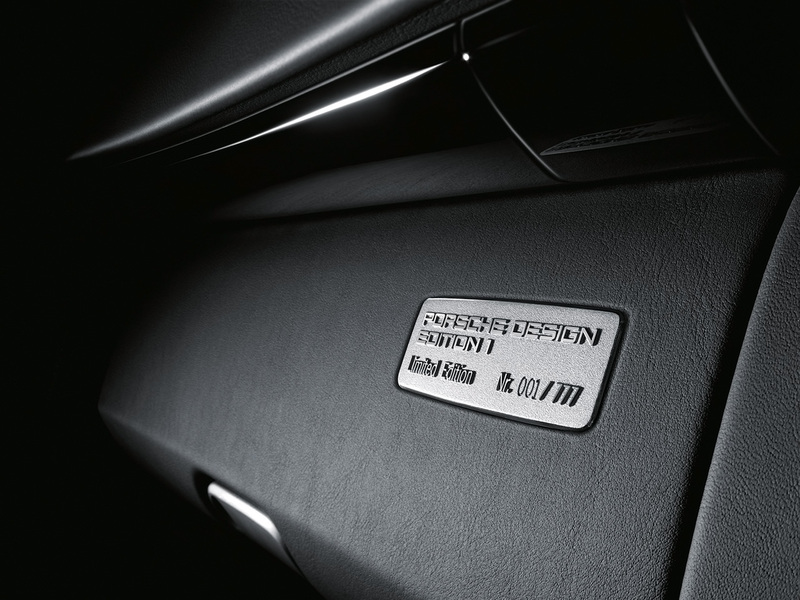 Porsche interiors have historically been like anything else that's engineered in Germany. They are functional, minimal, ugly and maybe a little confusing to those of us that are not familiar with the German symbols and logic. The interior of the 986 and 996 (1997-2004) were a bit more intuitive, but the materials and layout were anything but exciting. 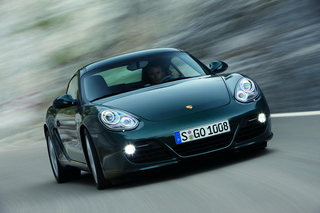 Well that all changed in 2005 when Porsche introduced the 987 Boxster and 997 Carrera. 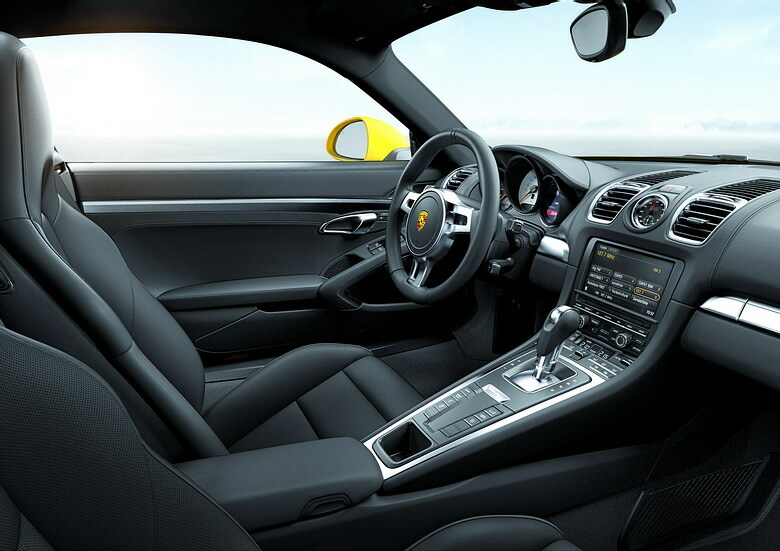 The interior of the Cayman S is still very German. It's still very functional and minimal. But something big happened in regard to beauty and simplicity. The interior in this car has gone light years ahead of Porsches of the past. The layout is simple and easy to understand. Buttons are located in convenient locations and labeled with understandable symbols. The standard interior delivers a feel of quality and reminds you that you're driving a well made precision machine. Step up to the full leather, and oh my... The feel, the look and the smell will remind you every time you get in that you're driving something special. Storage is more generous that you'd expect from a small two seat mid engine sports car. 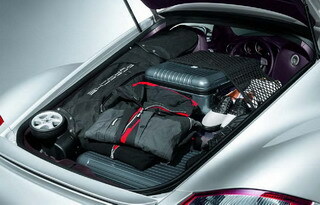 In fact, the Cayman S provides more storage space than any other Porsche sport car. Thanks to the rear hatch plus front 'trunk', the Cayman S can gobble up over 14 cubic feet of cargo (4.9 up front, 9.6 in the back). 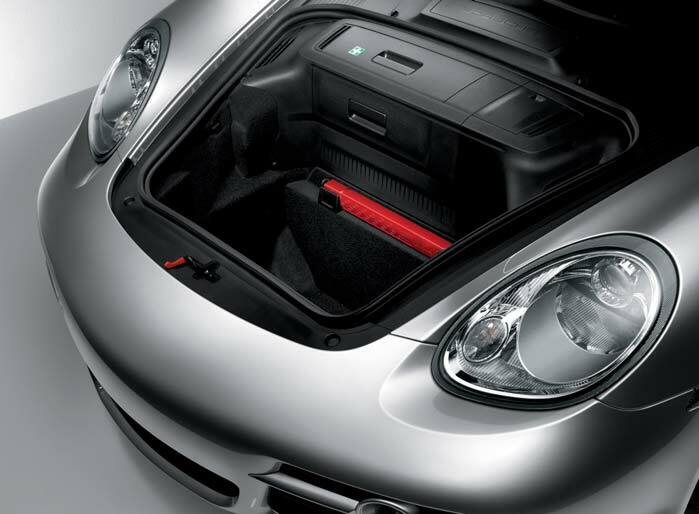 This storage makes the Cayman S a comfortable cruiser capable of cross country road trips. This is one more way in which the Cayman S lets you have your cake and eat it too. The Cayman S is a great dual purpose car, capable of providing comfort and luxury, and with the push of the accelerator pedal, power and sport. With close to a hundred options to chose from, the Cayman S can be configured to please a wide array of owners, but that doesn't mean that it's right for everyone. This is a purpose-built sports car that trades some creature comforts for absolute driving performance. If you've read this far, then you're obviously pretty interested in the Porsche Cayman. At this point, the very best way to find out if a Cayman is right for you is to go drive one. Visit your local Porsche dealer and get behind the wheel. I bet that you will almost instantly know if this car belongs in your garage. Promotional Video: "True to Yourself"
Acceleration (0-60 mph) 5.1 sec. 5.8 sec. (0-99 mph/ 160 km/h) 11.7 sec 13.5 sec. (0-124 mph/ 200 kmph) 18.6 sec 21.6 sec. 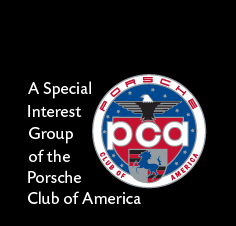 *Photographs and video property of Porsche AG, used under license by the PCA Cayman Register. You've got to hand it to Porsche. They don't care how everyone else does things. 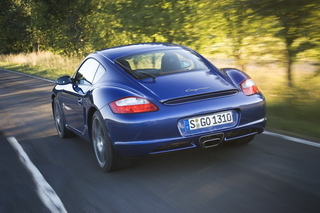 In 2006 they rolled out with the Cayman S, before there was a base model Cayman. They let the world and automotive press focus on the top of the line first, and boy did they. The Cayman S absolutely mesmerized automotive journalists. After stunning them for a year, out comes the Cayman. Now there are two Caymans to choose from. This was the big Cayman news for 2007. The 2007 Cayman delivered most of the Cayman S experience at a substantially lower cost. The chassis and body are nearly identical, with the primary differences being in the power train, brakes, wheels and some minor cosmetic elements. 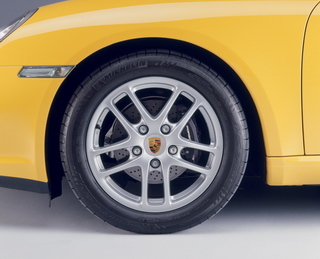 It takes a keen eye to notice the visual queues that differentiate the Cayman from the Cayman S. An observant Porsche fan would probably notice the wheels first. The Cayman with 17" wheels standard, one inch smaller than the standard wheel size on the Cayman S.
If the Cayman is equipped with the optional Cayman S wheels, the identification game gets a little tougher. The brakes are the next easy indicator. The Cayman wears black anodized calipers slung over slightly smaller brake rotors up front quite different than the big red calipers worn by the S model. From the front, observant Cayman fans will notice that the front spoiler lips, which are painted titanium grey on the 2006 Cayman S and body color on the 2007 Cayman S, are natural black unpainted soft plastic. If asked to identify the Cayman variant from behind without reading the model script, take a look at the tailpipe. There is a single trapezoidal opening on the Cayman and a dual opening on the Cayman S. See the picture below, Cayman S on the Left, Cayman on the right. Inside the Cayman, there are also some visual indicators. 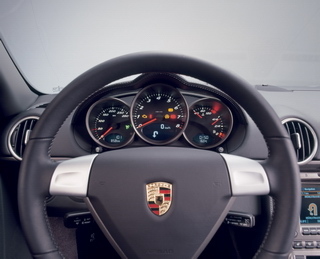 The Cayman instrument cluster is probably the biggest. In the Cayman S, the instruments have a light grey background with black text. When illuminated, the text turns white and the background turns black in a flip/flop fashion. The Cayman forgoes the flip/flop lighting and uses the opposite color scheme, white text on a black back drop, paying homage to the VDO look used in Porsches instruments from 1968-1998. The engine in the Cayman is new, an M97.20, a mini version of the 3.4L M97.21 that's in the Cayman S. This M97 displaces 2.7 liters (2,687 cm2), develops 245 horsepower and 201 ft-lbs. of torque. The little Cayman engine gets a boost in compression giving it even better volumetric efficiency is than that of the 3.4L Cayman S motor. Just like in the Cayman S M97.21, VarioCam Plus gives this engine a long flat torque curve that delivers gentle and predictable power output while saving fuel and earning this engine LEV4 emissions certification. Engine 2.7 Liter, 245 bhp, 201 lb.-ft. 3.4 Liter, 295 bhp, 252 lb.-ft.
(Manual / Tiptronic): 2,866 lbs. / 2,988 lbs. 2,976 lbs. / 3,064 lbs. When my Cayman S arrived from Germany, it arrived with a little shipping damage. That meant that my S needed to go into the body shop for a week. Some would see this as an unfortunate turn of events. 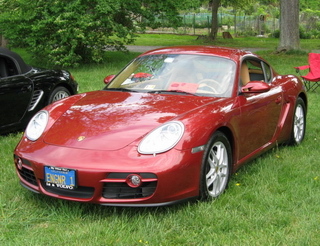 But as it turned out, my dealership provided me with a stripped 2.7 liter Cayman as a loaner. 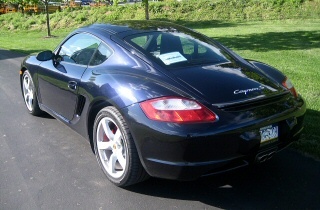 The loaner had only two options, 18" Cayman S wheels and Midnight Blue Metallic paint. This was a perfect opportunity to compare the stripped Cayman against my generously optioned Cayman S.
As soon as I sat in the Cayman I noticed a few very obvious differences. The first of which was the full leather. The dash top looks very different without it. It looks less 'expensive' but the standard dash isn't really all that out of place. I could see myself getting used to it. The second difference I noticed was the steering wheel. It's much thinner and a bit bigger looking than my XPA Sport Steering wheel. The third thing I noticed was the feel of the seats. This surprised me the most. I had read a lot about the standard seats being a better choice for bigger people, but I'm not so sure. I am an average sized guy. 5' 10" and about 180 lbs. I could definitely loose 10 or 20 pounds to reach my ideal weight, but I'm by no means a big guy. To me, the standard seats felt tiny, as if they were too small for my body. Maybe this is just because I am used to the sport seats, but the fact that my shoulders were hanging off the sides of the seats felt very weird to me. And the first turn I hit, I realized what a nice job the sport seats do in supporting your upper body. I think the sport seats are one of the best values on the option list. Once I turned the key and drove off, many other differences came to the surface. The 2.7 is much quieter than the 3.4. They sound very different, yet still similar. The 3.4 has a lot more intake growl and it sounds a lot more aggressive. I can imagine that some folks might actually prefer the more docile sound of the 2.7, but not me. I like engine growl! Once under way, the first thing that jumped out to me was the steering weight and the shifter throws. For some reason, the steering felt lighter than mine. The difference in shifters was incredibly obvious on the very first shift. 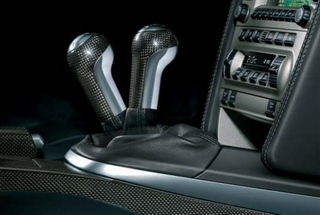 The sport shifter has much shorter throws than the standard shifter. But as I've read before, the 5 speed and the standard shifter do make a very nice combination. I don't know if it's the standard shifter, or the 5 speed gearbox (I suspect the gearbox), but I like the way the gears engage better than my 6 speed with sport shifter. There is a tactile snap, almost as if you are breaking a toothpick every time you enter a gear on the 5 speed. I like that. I am almost sure this is more a function of the 5 speed box and I wonder how nice it must be with the sport shifter. I can now see why people have called the 5 speed 'rifle bolt smooth'. It actually feels like you're operating a fire arm. Very nice. I also noticed that the 5 speed pops into 1st gear while moving more easily than my car. Mine has loosened up a LOT in the last 3,000 miles, but this car just goes into 1st with little to no protest. 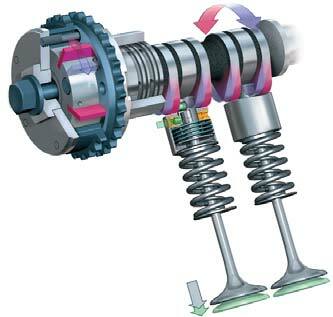 The standard suspension is undoubtedly a lot more taut than the PASM suspension in Normal program. It's instantly obvious to someone who's used to PASM. The standard suspension feels very similar to the Sport program on PASM, but actually a little nicer. Sport mode on PASM is a little jumpy. You can feel the car hopping over cracks and crevices in the road. The standard suspension felt just as taut, and sometimes even more taut, but it bounced less. I can see why the standard suspension has so many fans. It is very nice and it keeps the car very flat. Less float and roll than PASM in normal mode. But I was definitely wishing for PASM once or twice when I found a couple of rough areas of road. About 1 mile into my ride home, I found myself entering a nice uphill on ramp. "Now lets see what 50 hp really feels like.....", I thought to myself. I gently got into the 2.7 up the ramp, and I have to say, I was kind of surprised. The 2.7 is no slouch. It sings a very nice song when running up the rev range, a song that actually distracts you from the fact that you're accelerating a little slower than you would be in an S. When the pedal met the carpet, I could definitely tell there was less urgency twisting those back wheels, but the fun factor was so high that it didn't really matter. I have to agree with some of the others who have said that the 2.7 is plenty of fun and in many cases feels just as strong as the 3.4. I'm sure a stop watch would strongly disagree, but the 2.7 does at times feel just as fast as the 3.4. It's not until you ask for that last 50 hp or when you're not working the gearbox properly that you notice the difference. Only once during my 20 mile ride home did I feel disappointed with the power of the 2.7. Keep in mind that I'm used to an S and 50 missing hp should be painful. Here's what happened; I was cruising on the highway in 5th gear. Traffic slowed down a bit because of an accident on the other side of the road. When the pace picked back up, I stepped on the throttle like I would with in my 3.4. This is when I discovered the real power difference. It's really more like a torque difference. The 2.7 was clearly not ready to accelerate. My 3.4 would have accelerated acceptably well from 60 mph in 6th gear without a downshift. It would have let out a low pitched growl and just picked up 15 mph like it was nothing. The 2.7 didn't agree with my request at all. It wanted to be downshifted bad, and once I did, it came to life and all was good again. This is what I mean when I say 'not working the gearbox'. If you keep the engine in it's sweet spot, the Cayman is ready to deliver. If you don't, you will feel the missing 50 ft-lbs. I exited the highway before I needed to so I could add in a section of nice twisty roads, the scenic route if you will. While on a nice twisty 45 mph state highway, I caught up to a 'Wide Load' truck that was moving pretty slowly. There were two cars behind the truck, then me. A passing zone opened and I took advantage of it. I downshifted the Cayman and invited all 245 horses to the party. The car didn't disappoint me. We accelerated nicely and overtook those two cars and that long truck with plenty of room to spare. The 2.7 delivers, you just need to know how to ask for it. In the turns, the Cayman felt great. Just like my S, or in some ways actually a little nicer because I usually drive in PASM Normal mode. I feel that the Standard Suspension actually delivers less body roll than PASM Normal mode, or at least it feels more confident. Maybe it's psychological. I entered a tight rotary followed by an uphill hard right into a set of esses. I dropped to 2nd gear and just stuffed the pedal to the carpet. The car carved those turns very nicely, and I have to say, it was actually a bit less stressful than if I had done the same with the S. Why? Because I would have broken traction with the S. The 2.7 just hunkered down and shot thought those turns without getting scary or going ballistic. In summary, I'd have to say that you can definitely feel the difference the 50 hp makes. But it's not as gigantic as you might expect, which leave me wondering how so many people swear to god that their car feels so much faster after a mod that added 5 or 10 hp. After driving a car with 50 less hp, I just don't see how you can feel that. It's definitely slower than an S, no doubt. But it delivers it's 245hp so enjoyably. The Cayman 2.7 delivers a huge fun factor. If I had to rate the Cayman S in fun factor on a 1 to 10 scale, I'd give it a 9. If asked to do the same for the Cayman, I'd give it an 8. What the Cayman lacks in horsepower it makes up for in personality, and personality goes a long way. I spent an entire week in the Cayman and covered well over 1,500 miles. Driving it was a fun exercise. Interestingly, it has reinforced for me the fact that the car and options that I've purchased are right for me. But at the same time it has provided me with a healthy dose of respect for my car's little brother, the 2.7 liter Cayman. It's a fun car and a great value. Acceleration (0-60 mph) 5.8 sec. 6.7 sec. *Photographs property of Porsche AG, used under license by the PCA Cayman Register. 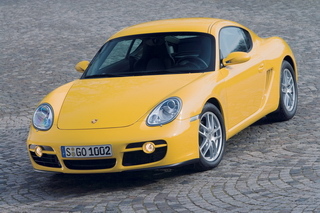 As expected, there were very few changes to the Cayman S in 2007. Porsche typically does not make many changes each year. They follow a more 'evolutionary' approach to model changes. Base price remained the same, at $58,900. 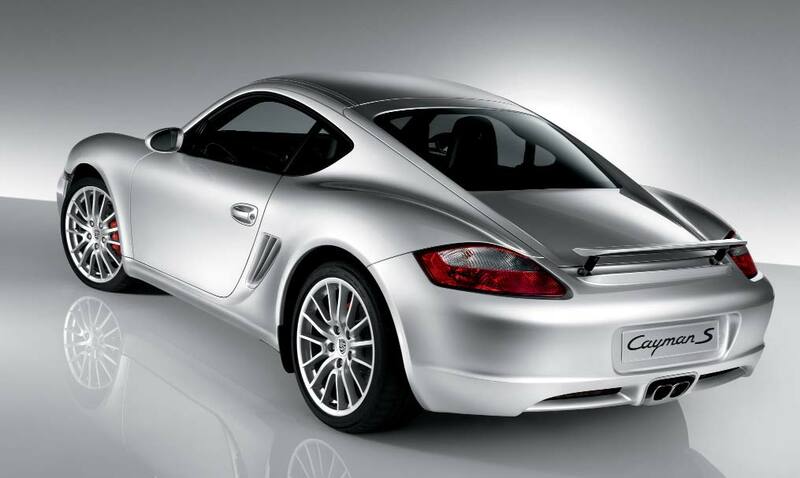 There was only one cosmetic difference, the front lower spoiler lips which were painted silver on all 2006 Cayman S vehicles would now be painted in body color on the Cayman S. All other changes were found in the colors and options list. Most notably, TPMS became a standard feature in 2007, replacing the $590 option from 2006. In 2006 Cobalt Blue metallic was a Premium color, costing $3,070. In 2007, this color was taken off of the premium list and it's priced reduced to $690 which made lots of folks happy because the Cayman looks absolutely great in Cobalt Blue. On the down side, Lapis blue was moved onto the premium list in 2007, boosting its price from $825 in 2006 to $3,070 in 2007. All other premium colors remained the same, and non Premium metallic paint colors dropped in price from $825 to $690 in 2007. If you're looking for a used 2007 Cayman or Cayman S, you may find that the Sport Shifter is harder to find in this model year than in the 2006 model year. In 2007 Porsche Cars North America removed the Sport Shifter from the available options that could be installed into dealer inventory cars. The option was still available to customers who special ordered a Cayman or as a dealer installed accessory. 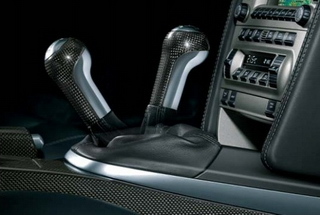 *Example shown with carbon fiber trim and shift knob, not included with the Sport Shifter. Don't worry if you can't find a Cayman with a Sport Shifter. This enhancement can be easily installed by any Porsche dealer (p/n: 997.424.983.00). 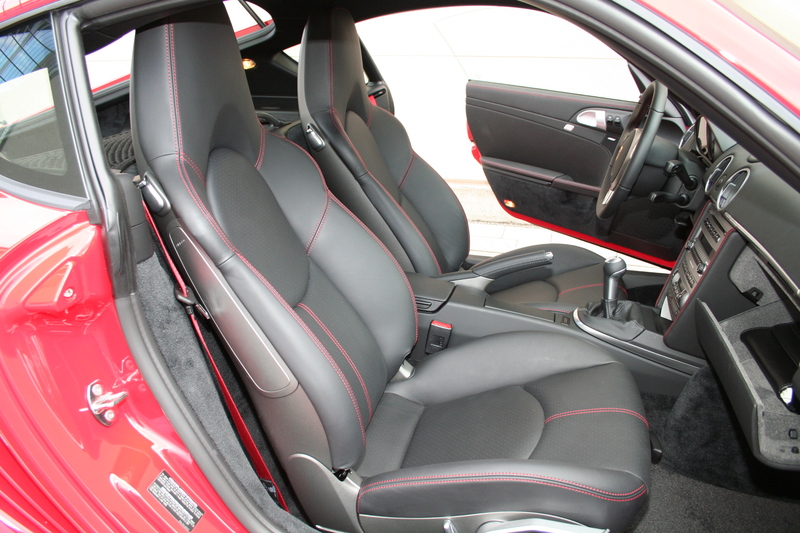 2007 was the first year that Deviated Stitching became available in the Cayman and Cayman S. Not an inexpensive option, but by choosing from a number of different stitching colors this option can add real life to an interior. (0-124 mph/ 200 km/h) 18.6 sec 21.6 sec. Continuing along, 2008 was a logical continuation of the 06/07 Caymans with no major mechanical or cosmetic changes. 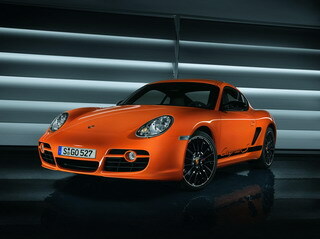 Base price remained the same for the Cayman, but went up $200 on the Cayman S from $58,900 to $59,100. Some, but not all options went up in price by about 5%. Lapis Blue was discontinued in 2008. Replacing it on the premium paint list was Malachite Green Metallic at a price of $3,140. Two new colors metallic colors became available in the 2008. Buyers could now get a Cayman in Macadamia Metallic or Ruby Red Metallic for only $690. 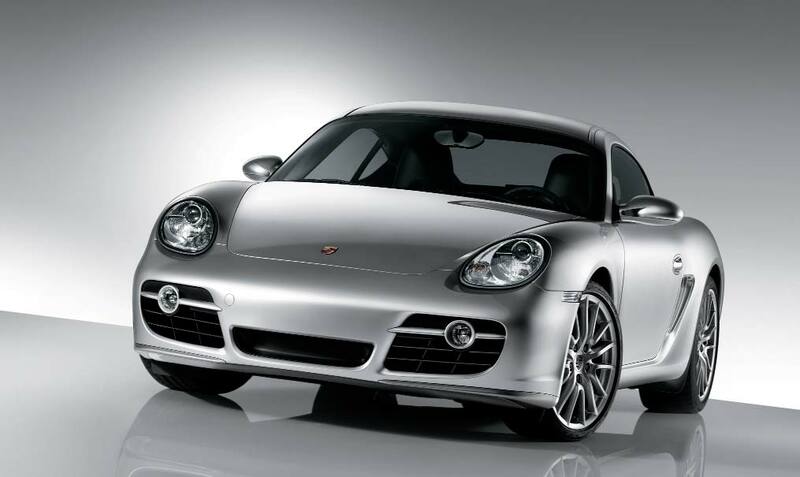 Porsche made a change to the recommended maintenance schedule in 2008, reducing the interval for minor and major services from 20,000 miles to 12,000 miles. Porsche says this was done due to inconsistent fuel and oil quality across different markets. Download links for the Maintenance Schedules can be found below under 'More Information'. Clutch Diameter 9.45" 9.45" 10" 9.45" 10"
0-60 mph (0 - 96 km/h) 5.8 sec. 6.7 sec. 5.1 sec. 5.8 sec. As progress would have it, 2008 would be the last year of this, the 987.1 Caymans. 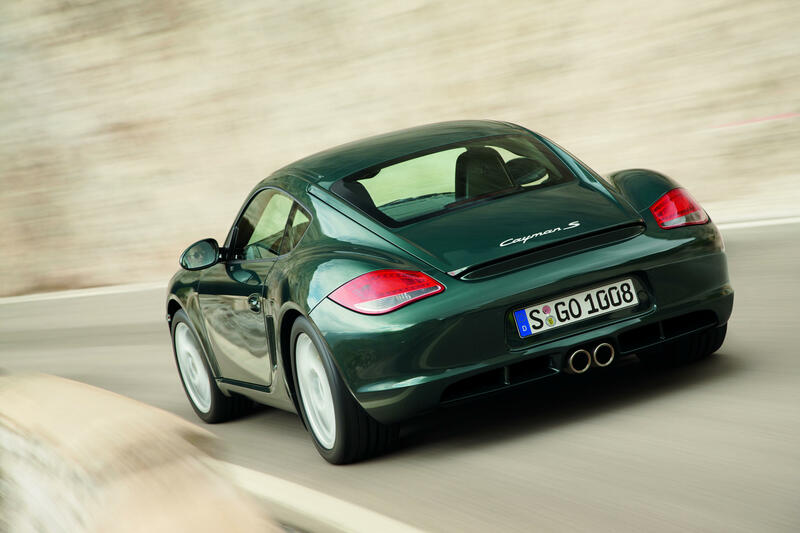 Though there were very few changes in this model year, 2008 would see two very different 'Limited Edition' models, the Cayman Design Edition 1, and the Cayman S Sport. More on these below. 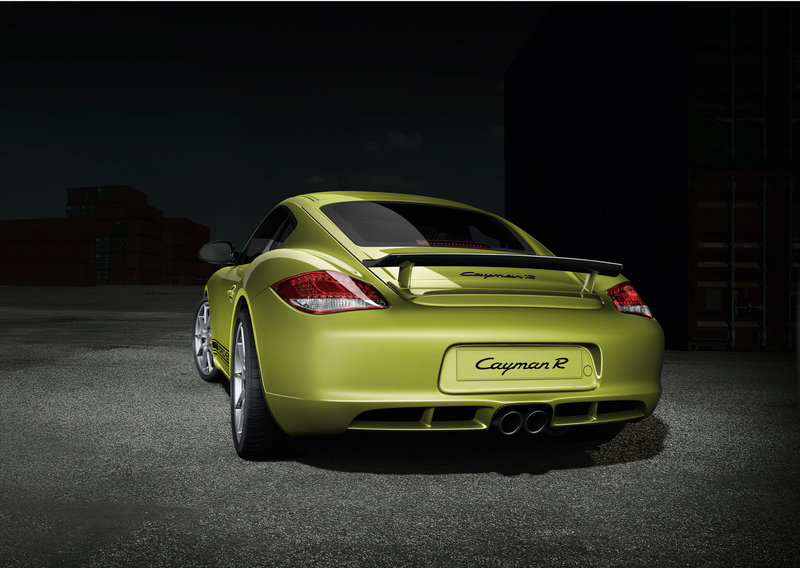 In the middle of 2008, Porsche introduced the limited edition Cayman Design Edition 1. 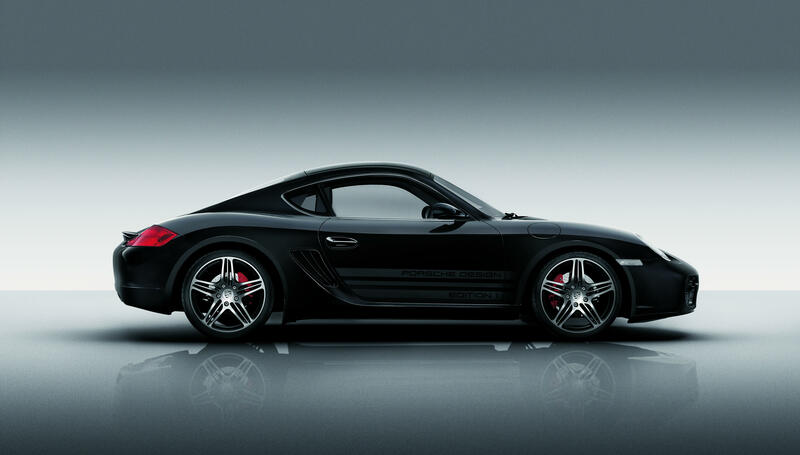 The Design Edition 1, also know as the DE1, was a Cayman S packaged with many exclusive cosmetic options intended to commemorate the 35th anniversary of Porsche Design. 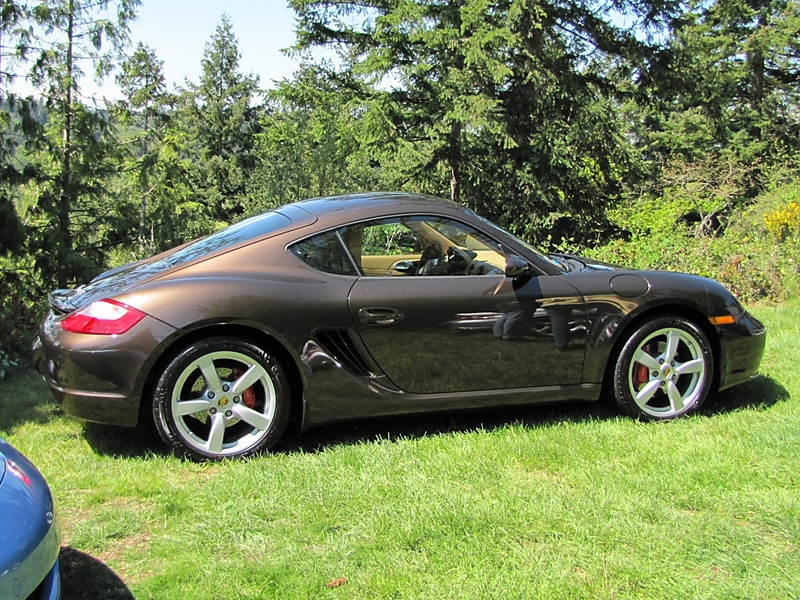 This car was clearly designed for the Porsche enthusiasts who wanted to own a very special Cayman. 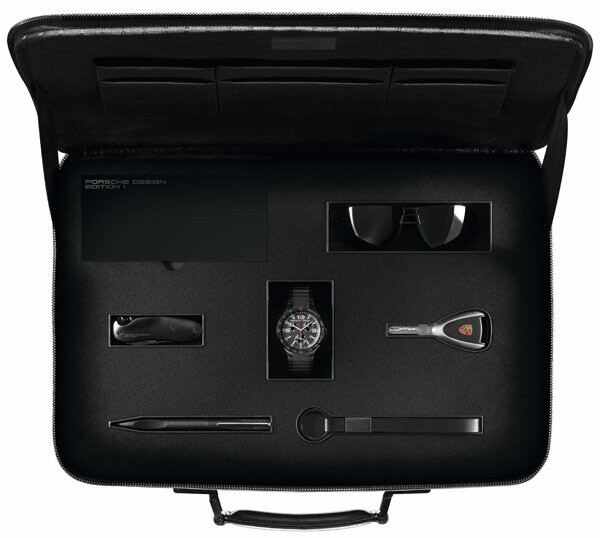 Buyers of the DE1 received a special briefcase that contained some pretty cool Porsche Design merchandise, including a Design Edition Chronograph Wrist Watch, Sun Glasses, Ballpoint Pen, Pocket Knife, Key Chain and the key to the DE1. The car was available in two colors. Black, and Black. It was dressed with special DE1 side graphics and triple deck stripes in Charcoal Grey with the Design Edition scripting. The Cayman DE1 came with 19" Turbo Wheels mounted on 5mm spacers and the chassis sat on the PASM suspension, bringing it 10mm lower and giving it an aggressive look. Inside, the DE1 had some very special treatments. 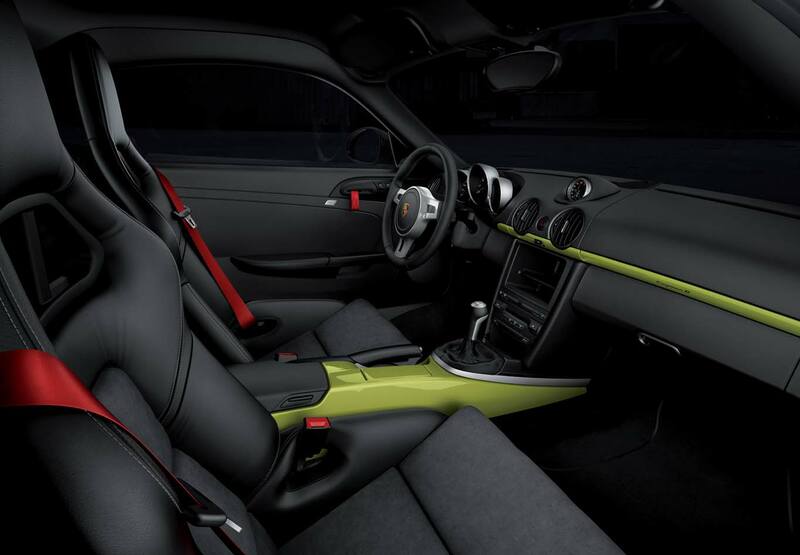 Alcantara was used for the first time in a Cayman package, on the steering wheel, shifter, hand brake and headliner. The instrument cluster received a special color and font treatment to make it look more like a Porsche Design Chronograph. *Red Taillights not available as an option. Price shown based on retail price for parts plus 1 hour of labor for installation. 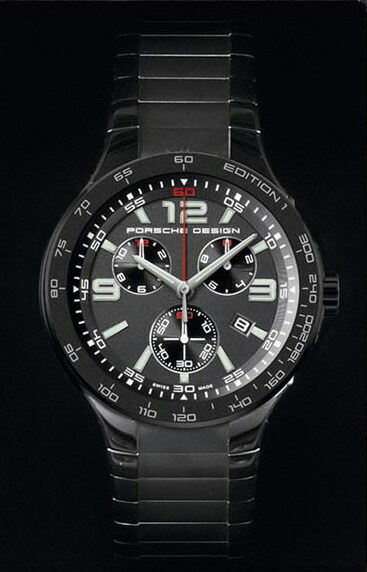 Considering that a Porsche Design Sport Chronograph watch itself can cost north of $5,000, if these things appeal to you, the DE1 was a pretty good value. Because only 777 of these were made worldwide, (240 of which came to America), finding one in the used market isn't going to be very easy and values should reflect this. This car was clearly designed for the Porsche owner that was most interested in prestige and exclusivity. The car didn't contain any performance enhancements over a 2008 Cayman S, but it did contain many exclusive cosmetic enhancements and it came with some pretty cool Porsche Design luxury accessories. Once again, showing that there is a Cayman for every type. 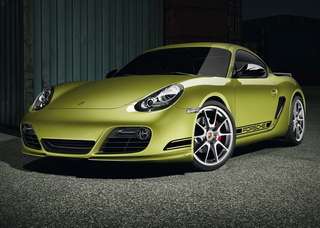 In late 2008, Porsche introduced the limited edition Cayman S Sport. The Sport was a Cayman S packaged with many sport options to create an edgy/sporty Cayman S. Beyond sport options, the Cayman S Sport received new DME software maps created to work with the Porsche Sport Exhaust and a unique Twin Chamber Dual Output Tailpipe that supply the Cayman S Sport with 303 horsepower at 6,250 RPM, making it the first Cayman to break the 300 horsepower ceiling. These cars were strikingly different in appearance, available in special colors like the GT3 Orange and Green. The exterior also included other GT3 details like gloss black contrasting elements (side mirrors, vents, model insignia and 19" wheels). Add a special black side stripe that proudly displays the Cayman S script, reminiscent of the stripe worn by the 1973 Carrera RS, and it all comes together to give the Cayman S Sport an aggressive and sinister look. 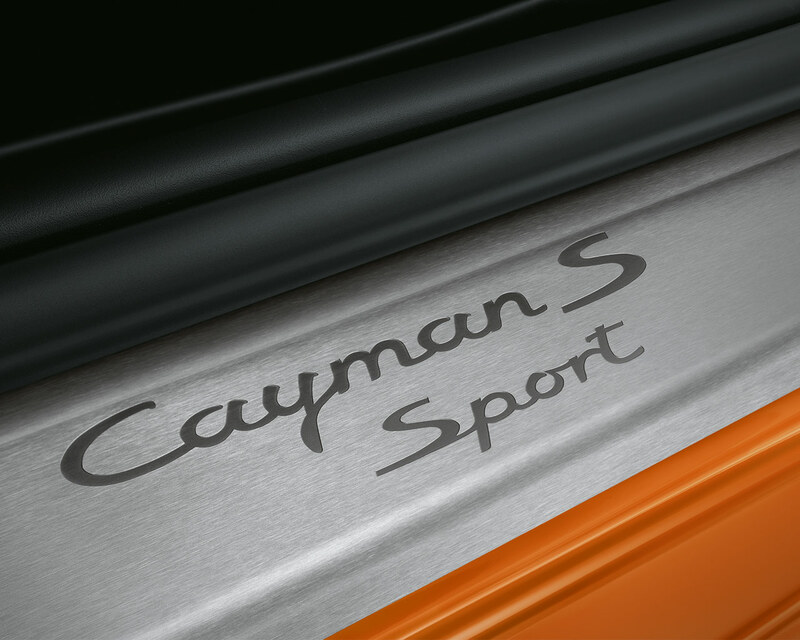 The Cayman S Sport was available in a limited number of colors, including the previously mentioned GT-3 Green & Orange which were not available on any other Caymans. The standard Black, Carrara White, Guards Red and Speed Yellow were available at no charge, or for $690 you could have one in Arctic Silver Metallic. The interior of the Cayman S Sport received many enhancements, including Alcantara trimmed steering wheel, gear shifter and hand brake. The hood over the instrument cluster was removed, many interior trim pieces were painted gloss black and the door sills were protected by stainless steel sill plates that wore the Cayman S Sport logo. * - Cayman S Sport tailpipe not available, price for dual chrome tip. ** - Not available in GT Silver, price for other colors. This car might not be right for every Cayman fan, but many sport minded fans found it to be very appealing. Because only 700 of these were made for the entire worldwide market, and because this model was the last and best of the 987.1 cars to ever be produced, they are likely to hold their value very well. 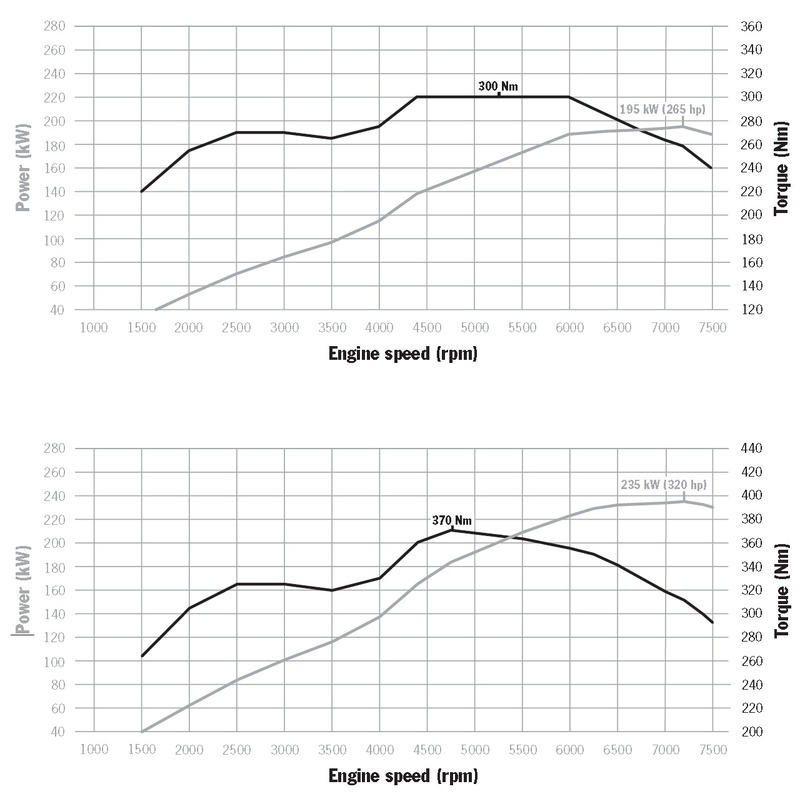 Despite the fact that the Sport Exhaust and DME tune were able to find 8 more horsepower, the published specifications of the Cayman S Sport were no different than the 2006-2008 Cayman S.
2009 was an exciting year for Cayman fans, but a little surprising to many long time Porsche fans. Although the Cayman S had only been in the market for three years, and the Cayman only two years, Porsche was delivering a facelift and introduced a number of new technologies. This is pretty unusual for Porsche, who is better known for delivering minor evolutionary changes after 5 years or more. Cosmetically, the 2009 Cayman and Cayman S received some minor but noticeable changes. The body shell and shape remained the same, but the front and rear bumper covers were updated. There are a number of subtle differences up front. The fog lamps have been moved outward and their colored spears have been replaced with matte black plastic panels that now house LED daytime running lamps. The left, right and center air openings are now sharper and more defined. The curves of the headlamps are less round and the inside of the headlamps are no longer chrome but matte black, making the two individual lights inside, (the headlamp and turn signals), look more independent like the headlamps on the Carrera GT. 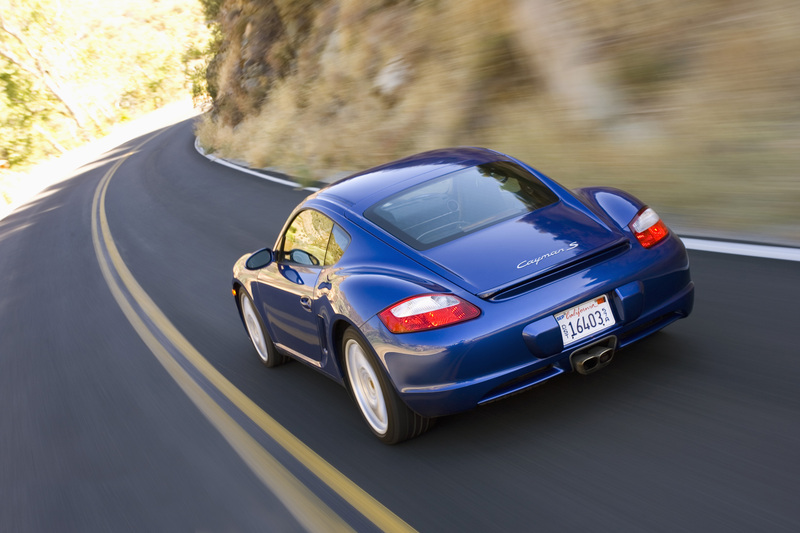 From behind, a trained Cayman fan will notice that the taillights are shaped differently. They now use modern LEDs for faster illumination and better longevity. The reverse lamps are smaller and lower, and the lower edge of the lamps are no longer horizontal but instead dip down into the bumper cover. 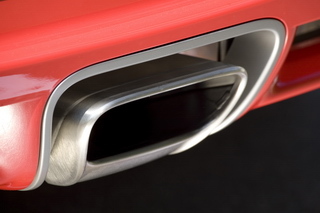 The license plate opening is shaped differently, there is now a standard dual outlet tailpipe and a vertical brace has been added to each of the horizontal aero-foil openings. Inside the Cayman, the changes were pretty minor. The interior remained the same with the exception of a few changes to the color of some of the dashboard components. 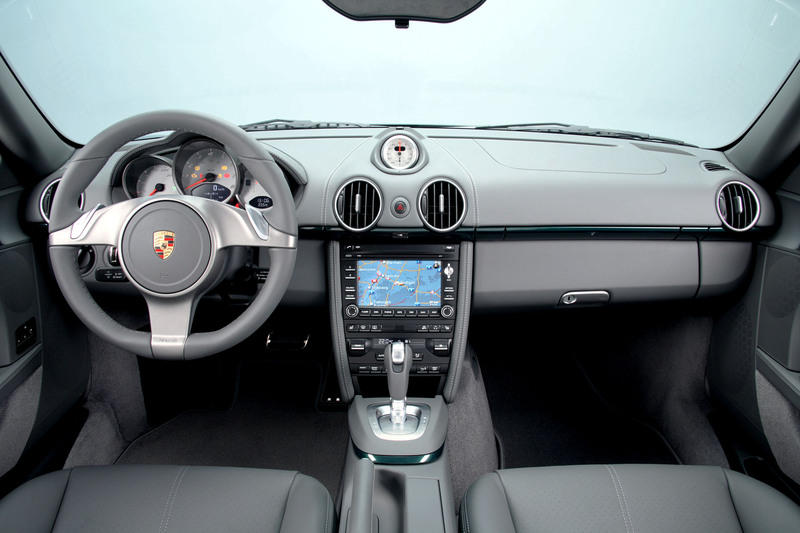 In the first generation Caymans, the dashboard components including the stereo, climate control, switch cluster, storage pocket and horizontal dash trim were painted "Volcano Grey." In the 2009 cars those components are finished in simple matte black. The new PDK transmission (more on this below) brought some minor changes to the shifter and a new steering wheel. On the comfort side, ventilated seats are now available as an option. The available radios have been improved, which is a welcome change because many generation 1 owners complained about the lack of iPod and Satellite radio compatibility. The new CDR-30 is the standard radio, capable of supporting XM Satellite radio and any MP3 player. The new PCM 3.0 adds touch screen functionality and can be ordered with an in dash 6 CD changer that will also play MP3s. The engines in the 2009 Caymans are all new. 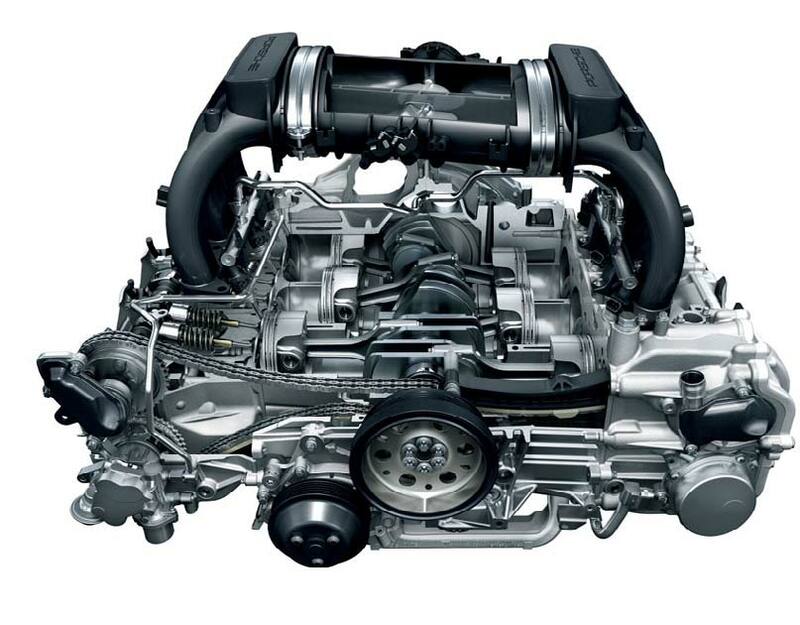 These new engines are still horizontally opposed flat 6 'boxer' motors, because Porsche wouldn't have it any other way. But in these new engines the prior four piece crankcase with separate crankshaft carrier has been replaced with a stronger lighter two piece crankcase. The intermediate shaft used to drive the camshafts, which had proven to be a real Achilles heel to many early M96 engines, has been replaced with a simpler chain drive system that runs off of each end of the crankshaft. The 9A1 receives a very sophisticated single oil pump that is electrically controlled to change oil pressure based on engine need, and it contains four scavenge pumps, two connected to each valve cover, improving a weakness in the M97 that could allow oil to pool in the valve covers under very specific G-force conditions. 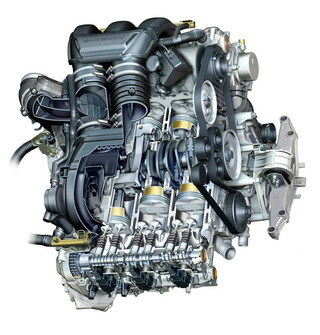 These engines are lighter, have fewer moving parts, they make more power, less pollution and because they have fewer parts and improved lubrication, they are likely to be more reliable. The Cayman engine gets a 200 cm³ boost in displacement bringing total displacement to 2.9 liters producing 265 BHP, a gain of 20 horsepower over the outgoing 2.7 liter. The new Cayman S engine doesn't gain any displacement, but thanks to the fewer moving parts and the introduction of Direct Fuel Injection (DFI), this engine produces a hefty 25 more brake horsepower than the M97.21. Throttle control is crisp and pollution is reduced. DFI is likely to do to multi port injection what multi port injection did to the carburetor. Even more exciting than the changes made to the engine in 2009 are the changes made to the automatic transmission choice. 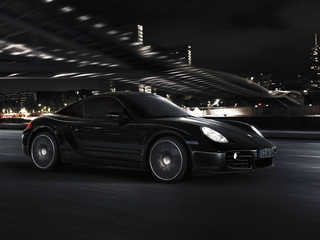 This was the first year that the Cayman would be available with the PDK transmission. PDK is an abbreviation for Porsche Doppelkupplung, or 'Dual Clutch' gearbox. Calling the PDK an automatic transmission is like calling Ludwig van Beethoven just another pianist. The PDK is actually a 7 speed manual transmission that is computer controlled and is capable of shifting automatically. The technology used to create this transmission doesn't have anything at all in common with technology used in the automatic transmissions of the past 50 years. The PDK was first used over 25 years ago in the Porsche 956 and 962 race cars. Only back then this technology was far too expensive to be applied to any street car. Thanks to modern day computer progress, that limitation no longer applies. than the PDK used in the 911 Carrera. With a conventional manual transmission, there are several gear selectors that can connect the output shaft to one of the many constantly meshed gears. The PDK works in the same way, only the PDK has two input shafts. There is one input shaft for all of the odd numbered gears (1,3,5,7), and there is another input shaft for all of the even numbered gears (2,4,6). This allows the transmission to be in two gears at one time, a task that would lock up and/or destroy a single input shaft gearbox. So, when 1st gear is selected, 2nd gear is also selected. When it's time to shift, the clutch that is supplying power to the odd gear input shaft is disengaged, and the clutch that provides power to the even gear input shaft is engaged - making an immediate shift to 2nd gear. As soon as that transition has been completed, the PDK control disengages 1st gear on the odd gear input shaft and engages 3rd gear. Now the gearbox is in both 2nd and 3rd gear while 2nd gear is being used to propel the car. When it's time to shift to 3rd, the system makes another transition from one clutch to the other, and the routine continues. The PDK computer is always reading the driver's inputs, anticipating which gear will be needed next and preselecting it. In the past, a car equipped with an automatic transmissions would accelerate significantly slower and use more fuel than the same car would with a manual transmission. Those days are gone. The PDK shifts so well, so fast and so seamlessly that the PDK equipped Cayman S can sprint from 0-60 in 0.4 seconds less than the 6 speed equipped version. 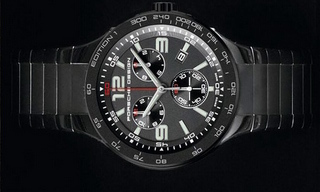 Because the PDK is computer controlled, Sport Chrono and Sport Chrono Plus become even more beneficial, offering different sport shifting maps and electronic launch control. Practically overnight, the PDK has made the old slush box automatic transmissions of our childhood extinct. The next generation of Porsche fans will never know what a 'torque converter' is, and in my book, that's a good thing. In 2008 the Cayman and Cayman S were still pretty new, and globally recognized as being among the very best performing sports cars on the planet. In 2009, Porsche took that already phenomenal recipe and kicked it up a few notches with engine improvements, an exciting new transmission, and some fine tuning to the cosmetics, chassis and interior. All of this comes in at a base price of $50,300 for the Cayman and $60,200 for the Cayman S, a modest increase considering the depth of the improvements. No one can accuse Porsche of sitting on their hands. Considering the foundation on which these 2nd generation cars were based on, there is no way a sports car enthusiast could not find the 2009 Caymans hypnotic. Acceleration (0-60 mph) 5.5 sec. 5.4 sec. 4.9 sec. 4.8 sec. No major changes for this second year of the Gen II Caymans. Base price of the Cayman increases by $1,100 to $51,400 in 2010. Base price of the Cayman S increases by $1,300 to $61,500. After 4 years, Midnight Blue Metallic has been retired and replaced by Dark Blue Metallic. Midnight Blue Metallic had a lot of red content that made it look purple under certain light conditions, where the Dark Blue Metallic has less red and more green giving it a turquoise quality at times. 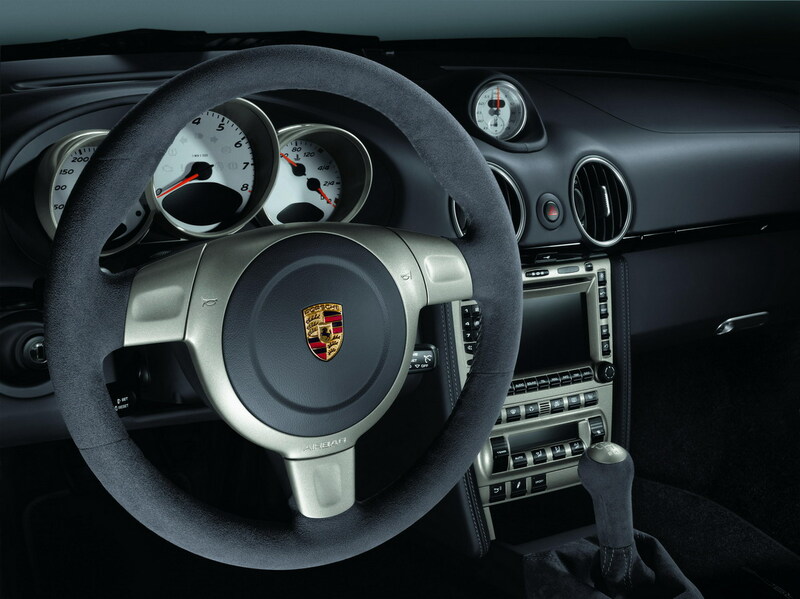 Probably the most exciting new option in 2010 was the PDK Sport Steering Wheel with paddle shifters. Many folks found that the steering wheel mounted shift buttons could be accidentally pressed during fast steering movements. The paddle shifters are further out of the way and add a sporty feel to a PDK Cayman. On November 17th - 2010, Porsche CEO Matthias Mueller unveiled the 2012 Cayman R to an excited audience at the Los Angeles International Auto Show. This model had been long awaited and highly anticipated, following in the logical foot steps of the company and the direction that was demonstrated with the 2010 Boxster Spyder. Porsche calls this strategy 'Intelligent Performance'. This is the idea of deriving more performance by reducing weight while adding performance where possible, and this approach makes the Cayman R the sportiest Cayman ever. A weight savings of 121 lbs. (55 kg) was achieved through the use of lightweight materials and by removing comfort options that are not necessary to deliver absolute driving performance. 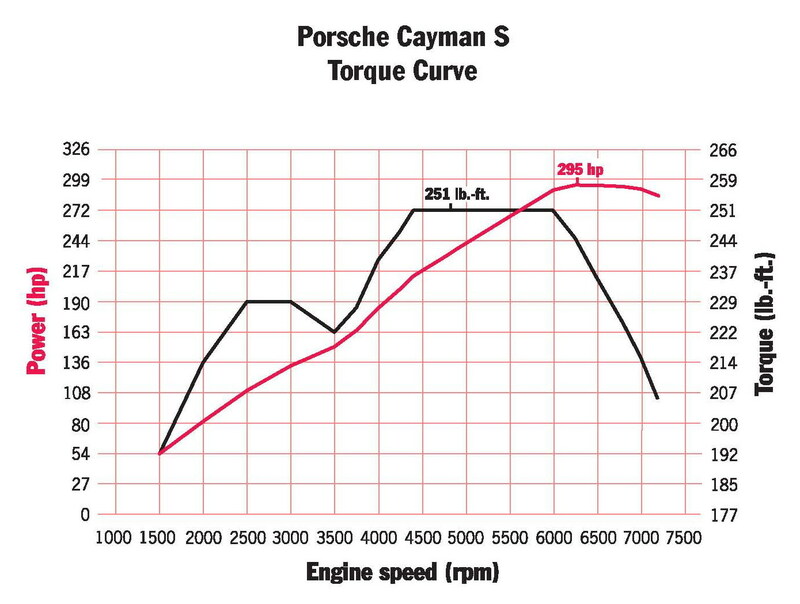 Keep in mind that the Cayman S has a power to weight ratio of about 1hp:10lbs, so every 10 lbs lost equates to a gain of about 1 horsepower. Porsche did a lot of work creating the aluminum doors of the GT3, so it made perfect sense to apply this knowledge and experience to the Cayman R. These doors wear modified door panels that also add to the overall weight savings. Door storage pockets are eliminated, as are the conventional door release handles - replaced with nylon straps reminiscent of the door releases used in the 1973 Carrera RS, and now used in the Boxster Spyder and GT-3 RS. Dropping weight makes the most sense when it can be applied to rotational or unsprung component of the car. 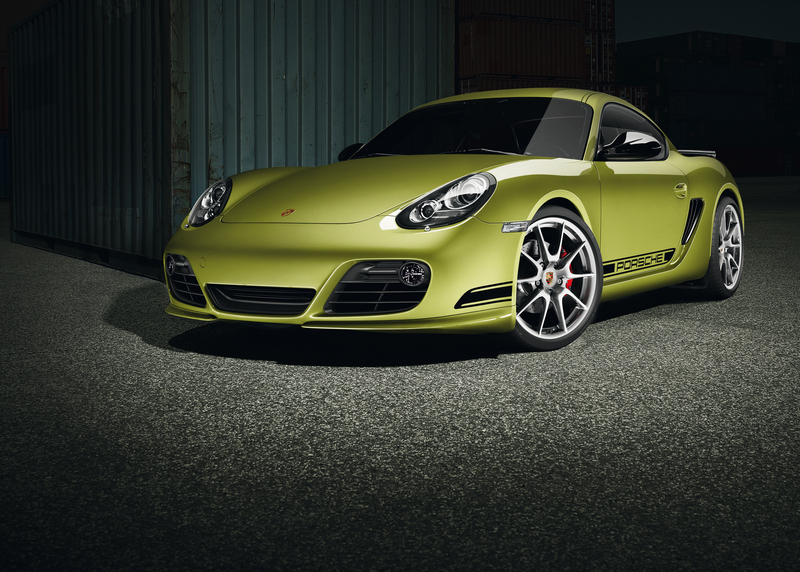 The Cayman R comes standard with Porsche's lightest 19" production wheels. These wheels are 11 pounds lighter than the standard Cayman S wheels. Eleven pounds may not sound like a big savings, but when eleven pounds are taken off of the wheels, the results are compounded. This reduction in mass, rotational mass and unsprung mass will deliver advantages in acceleration, braking and handling. When creating a sport car intended for pure performance, the Radio and Air Conditioning are the first two creature comforts to be called into question. Does a driver really need these relatively heavy components for sport driving? 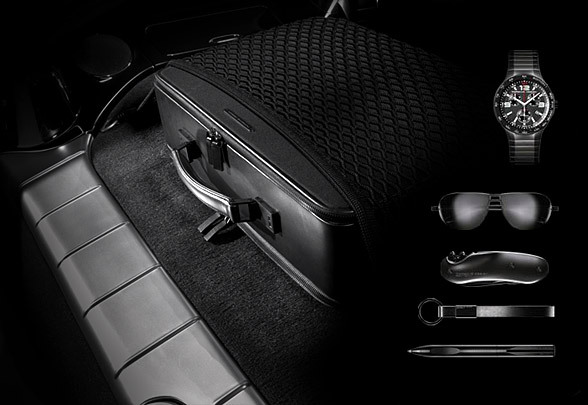 These items have been moved from the Cayman R's standard equipment list to its optional equipment list. Sports car fanatics who take their cars to the track to exploit their full driving potential are frequently found spending money on the installation of racing seats and 6 point harnesses. 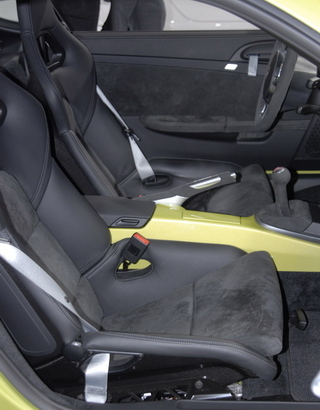 So common sense suggested that Porsche look to the seats for weight savings and performance enhancement opportunities. 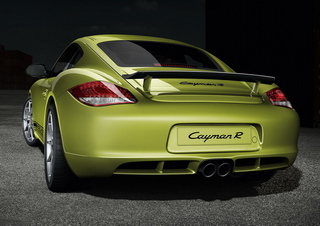 The Cayman R comes standard with Porsche's very desirable, very expensive carbon fiber Sport Bucket Seats. These seats are made of fiberglass reinforced plastic buckets, finished off in carbon fiber. If you're the kind of driver who likes electric seats that remember your favorite seating positions, you might not like these seats. But if you're the kind of driver who appreciates a seat that will hold you in place through high G-Force turns and allow you to install 6 point safety harnesses for track use, you're going to really like them. These seats deliver all of the sport performance benefits of aftermarket racing seats, while still providing side impact airbags, factory fit, an amazing carbon fiber finish all while providing the Cayman R another 26 lbs of weight savings. To follow in the less is more strategy, say goodbye to the instrument cluster cowl, cup holders and coat hooks normally found on the backs of the seats. Replace the standard 70 Amp battery with a 60 Amp battery and you save another 16 lbs. To further add to the weight savings possibilities, the light weight lithium ion battery that was developed for the GT-3 RS is available as an option on the Cayman R. Selection of this option will reduce weight by an additional 22 lbs (10 kg) for a total weight reduction of 143 lbs. But select that option carefully as it will also lighten your wallet. The lightweight battery costs $1,700, or roughly $77 per saved pound and it may not be the best choice for all season use. After reducing weight, the Cayman R was given more performance by adding power, suspension tuning and other performance upgrades that do not require weight be added back to the vehicle. The Cayman R engine delivers 330 brake horsepower at 7,400 RPM, 10 horsepower more than the 2010 Cayman S. Power is nothing without control, so Porsche has thrown in a new tuned Sport Suspension that sits 20mm lower on stiffer springs with stiffer dampers and stiffer anti roll bars. The R is also setup with more negative camber on both axles to meet the traction and directional control demands of high performance driving. To finish off the chassis, the Cayman R is fitted with a mechanical Limited Slip Differential for better corner exiting grip and braking zone stability. To deal with the new aerodynamic demands of a faster more powerful chassis, the Cayman R was fitted with the Porsche Aero Kit, which includes a fixed rear wing and larger more effective front spoiler lips. The Aero kit provides more down force which will make a Cayman R experience less lift at high speeds than a Cayman S would. The electromechanical actuators of the standard telescopic spoiler are removed to offset the added weight of the fixed rear wing. Many elements have been applied to the styling of the Cayman R to make its looks match its personality, some intentional, some accidental. The 20mm drop, 19" 10 spoke wheels and Aero kit are good examples of accidental styling. These items are installed for performance, but consequently add a very aggressive look to the Cayman R.
On the intentional side, the Cayman R receives a grey tint strip on the top of the windshield, which gives it a low mean look, and many items finished in a 'Contrasting' color. Contrasting items include the Porsche Side Stripes, Side Air Intakes, Exterior Mirrors and Rear Wing. These items will be either Black or Silver, depending on the exterior color of the car as shown in the chart to the right.. The Dual Chamber Exhaust Tailpipes, Model Designation on the rear deck lid and the Headlight Trims are painted black regardless of exterior color. Inside the Cayman R, the sporty character continues. The instrument cluster cowl has been removed to save weight, and the gauge bezels are now finished in 'aluminum look' silver. 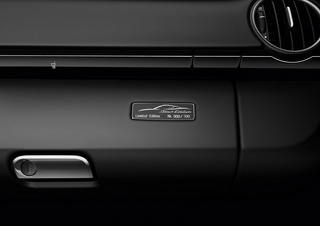 The silver gauge faces have been replaced with sporty black, which has also been applied to the side and center vents. The Sport bucket seats are finished in a mixture of Leather and Alcantara in the center. A special 3 spoke Sport Design steering wheel is standard (with shift paddles on PDK models at no extra cost). The shifter top is inlaid with red text. The center console trim and dashboard trim are painted to match the exterior and a black Cayman R logo is applied to the dash trim and the door sills. The Cayman R has a base price of $66,300, making it the most expensive Cayman available. But if you stop to consider all of the options you get for $4,800, the value is actually pretty astounding. If a Cayman S were configured to include every available option that's on the Cayman R, it's price would quickly exceed $66,300 and several of the slickest options could not be added. In fact, purchasing a Cayman R would cost $6,800 less than purchasing a similarly optioned Cayman S. With the R you are getting 10 more Horsepower, Aluminum Doors and the Sport Suspension, none of which are available on the S. On the S you are getting cup holders, coat hooks and door pockets. So which would you rather have? Remember, if you can't live without a radio, cup holders and street seats, each can be added back into the Cayman R at no charge. 330 bhp at 7,400 RPM, 273 lb.-ft.
(Manual / PDK): 2,976 lbs. / 3,031 lbs. 2,866 lbs. / 2,988 lbs. One thing is for sure. Porsche pretty much threw the kitchen sink at this one, applying all they know and have available without actually redesigning the car. Every performance option on the list, and then some that weren't on the list have found their way into the Cayman R. We've seen an inordinate number of Caymans at PCA High Performance Driver Education events all over the country, many of which have been turned into dedicated track cars. If this is any indicator of things to come, I think we'll be seeing a lot of these Cayman R's terrorizing other track drivers soon. At the time of this writing, the car was not yet available for sale or test drive, so the jury is still out on exactly how this car will perform. But anyone who's been a Porsche fan as long as I have been can tell you that when Porsche puts a car like this together, the result is always greater than the sum of its parts. This car is likely to be known as the best driving mid engine street Porsche ever. 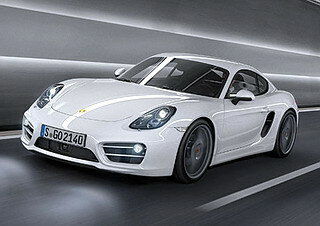 The Cayman R is scheduled to go on sale in February - 2011. I know I will anxiously look forward to the first reports about this very exciting Cayman. 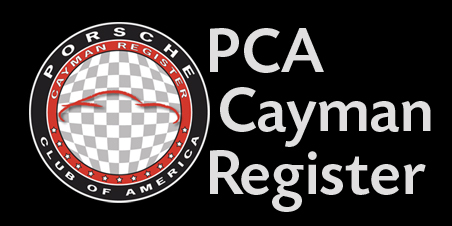 *Photographs and Videos property of Porsche AG, used under license by the PCA Cayman Register. The world is all about balance. On a magnet there is North and South. In Chinese culture, there is Yin and Yang. In pop culture, there is Neo and Smith. In the 2012 Cayman line up, there is the Cayman R and the Cayman S Black Edition. 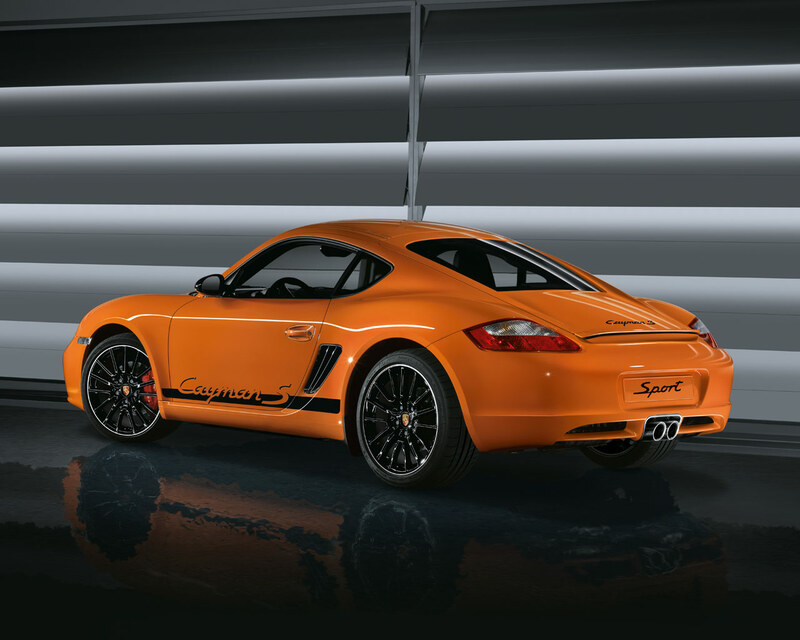 The Limited Edition Cayman S Black combines many of the high performance benefits found only in the 2012 Cayman R with many other desirable options off the list, options that when combined create a distinct personality for this special car. After the R hit the scene, many potential buyers complained of the inability to order one with many of the highly desirable street options, particularly PASM. Well the Cayman S Black Edition provides a canvas on which one can build a Cayman with the 330 BHP engine found in the R but without all of the other performance focus. 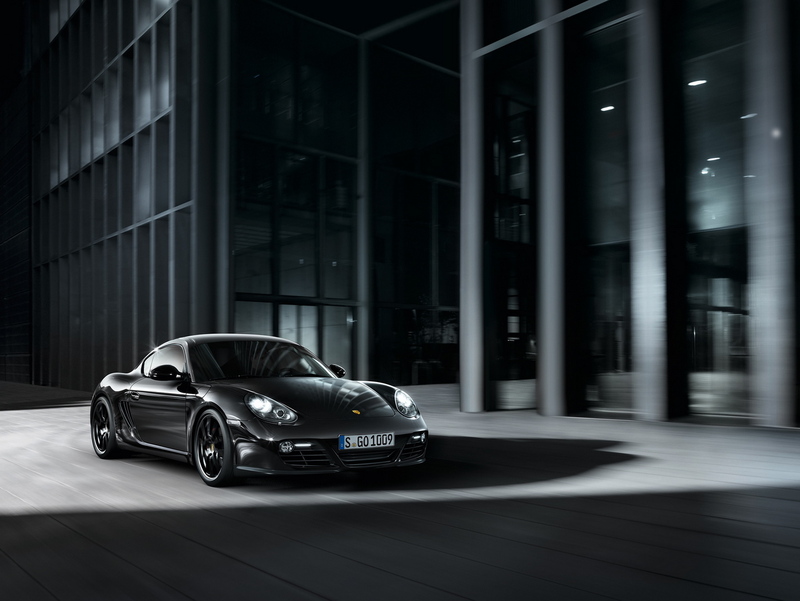 Where the Cayman R is built to be the master of performance, the Cayman S Black is built to be the master of touring. 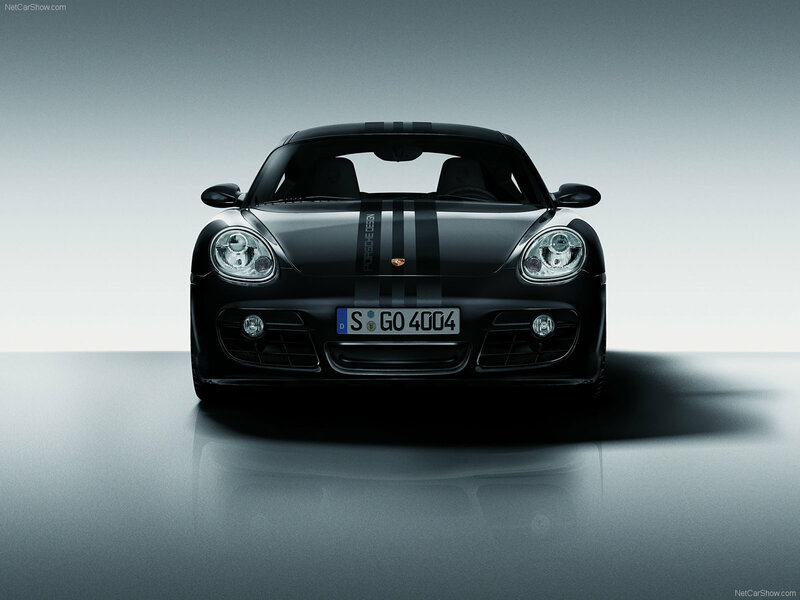 Like the Ford Model T and the Cayman Design Edition 1, the Cayman S Black Edition comes in one color and one color only. Black on Black...!! On the exterior, the 19" Lightweight Cayman R wheels, Dual Chamber Exhaust Tailpipes, Model Designation and the Headlight Trims are also painted black. 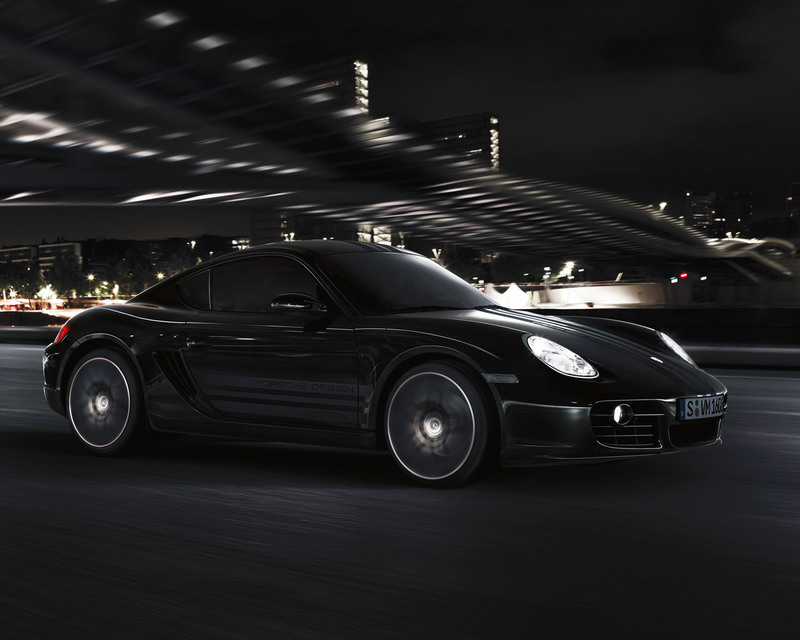 Tint the windows, and you've got one very dark, very mean looking Cayman. Inside the Black Edition proudly wears the Porsche crests in its headrests. 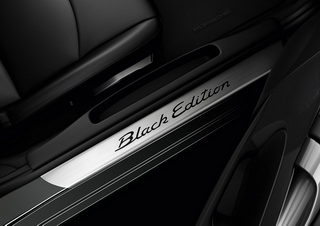 Connection to the steering happens through a 3 spoke Sport Design steering wheel and the door opening are protected by stainless steel guards that remind you you're in a "Black Edition". 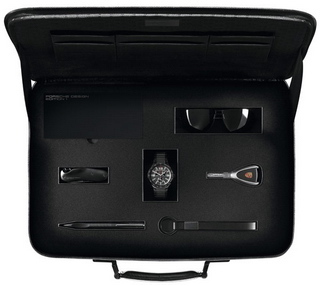 On the glove box lid you'll find a badge that denotes which of the 500 Black Edition Caymans you're driving. 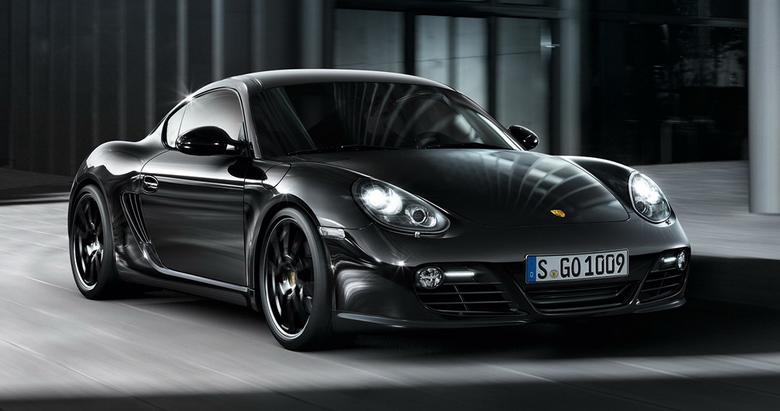 The Cayman S Black Edition has a base price of $67,500, making it the most expensive Cayman available at the time of this writing. 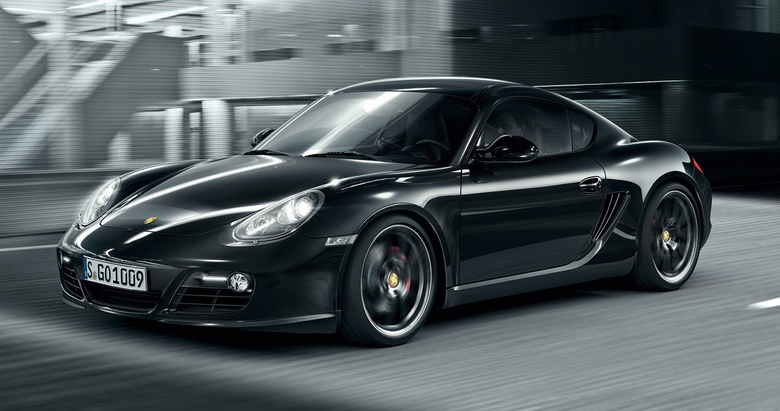 This model costs $5,500 more than a Cayman S of the same year, but like most Porsche packages, the Black Edition provides an exceptional value. If a Cayman S were configured to include every available option that's standard on the Cayman S Black Edition, its price would quickly add up to $72,950. That means the Black Edition actually saves a buyer $5,450. 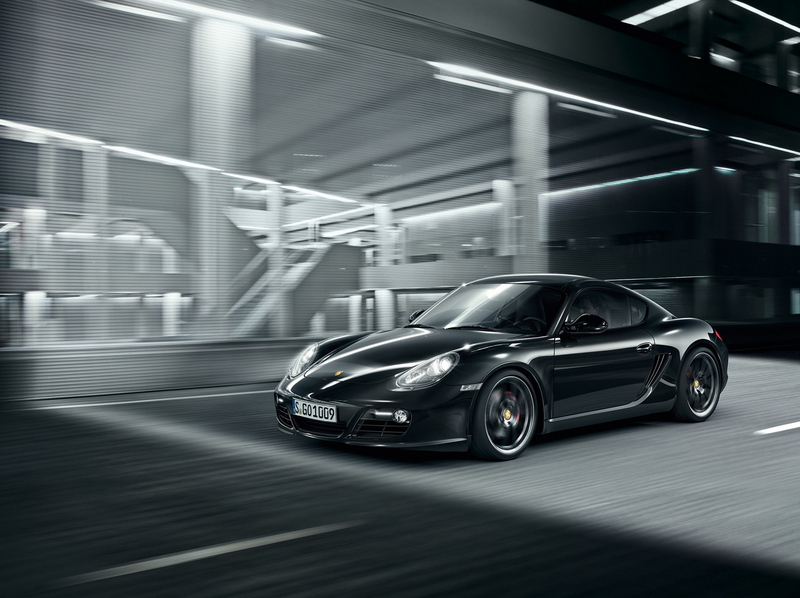 If you're looking for the ultimate street Cayman, the Cayman S Black Edition should definitely be on your shopping list. Because there were only 500 of them made, be prepared to do a little hunting and expect them to hold their value well. 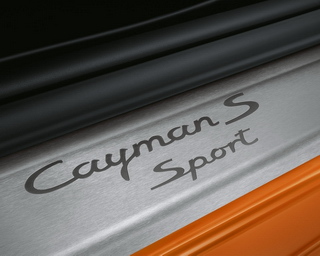 2014 was a big year in Cayman history as it marked the introduction of an all new platform, the new 981 Cayman. The differences between the 981 and 987 were significant, but not unexpected as many of the new technologies were already introduced in the new 991 and 981 Boxster. This is a big year with lots of changes in many areas. In 2009 we saw a small connection to Carrera GT styling in the Cayman's new blacked out headlights. This trend toward Carrera GT styling has continued in 2014. One of the most striking styling changes to the 981 Cayman, which really pulls some Carrera GT feel, are the deep recesses in the doors that lead back to the new forward facing air intakes in the Cayman's rear quarter panels. Carrera GT fans may also notice that the new side view mirrors attach to the door skins instead of to the the pillar in the window area. The front and rear views of the 981 stay true to the Cayman with some distinct differences. The headlights become slightly sharper and more square. The air intakes up front are also sharper and somewhat more aggressive with new LED array daytime running lights filling the round fog lamp openings. In the rear there is a new wider aero wing that integrates into the taillights to deliver a smooth uninterrupted body line. The shape of the hatch has changed a bit, transforming from a concave angle to a smooth convex arc and the rear window glass has been extended lower into the trunk lid. The trunk lid now wears the family mark, P O R S C H E, plus the usual model script. An observant eye will notice that the bumperettes, a feature unique to the US Cayman market, are gone delivering a cleaner smoother look to the back bumper cover. 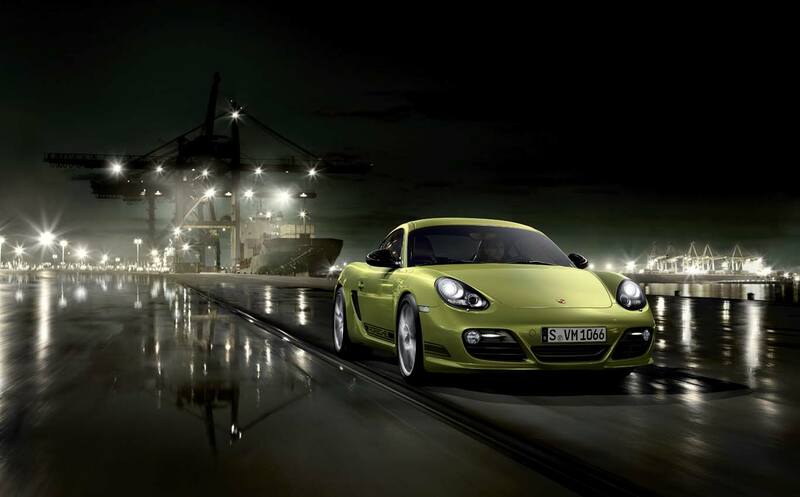 The 981 Cayman has a 1.5 inch (40mm) wider track, and a 2.4 inch (60mm) longer wheelbase than the 987. Beyond these obvious differences in physical dimensions, the body of the 981 uses Porsche's newest weight savings design of mixed steel and aluminum construction. Aluminum makes up 44% of the 981's chassis, including the front and rear body, floors, doors, and front and rear trunk lids. Despite the fact that this body uses less steel than its predecessor, its torsional rigidity has been increased by 40% while chassis weight has gone done by 100 pounds, resulting in a gross vehicle weight loss of 66 pounds. The 981 sits on larger wheels than the 987, with 18 inch wheels standard on the Cayman, 19 inch standard on the Cayman S and optional 20 inch wheels available on both. 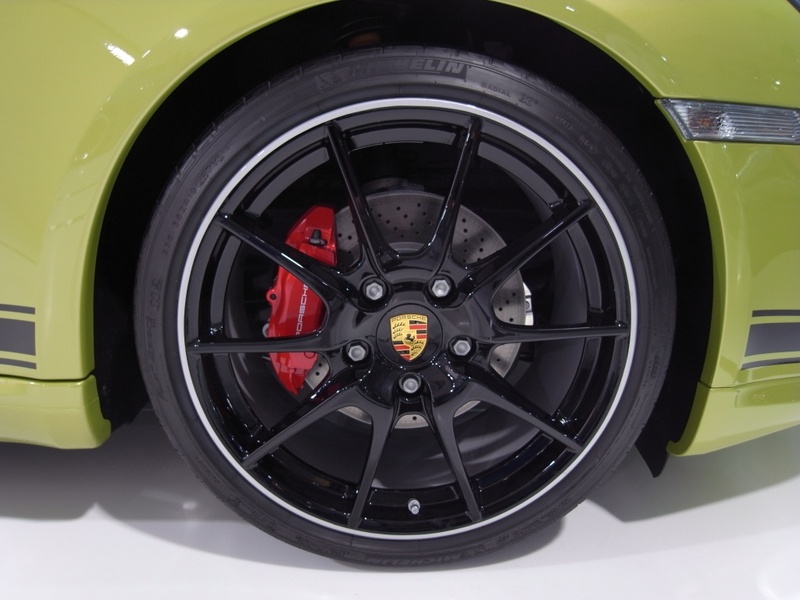 These wheels are fitted with new improved tires that provide 7% less rolling resistance than those available on a 2013 Cayman, resulting in better efficiency and . Longer wheelbase, wider track, less weight, bigger wheels and higher torsional rigidity are sure to deliver improved driving performance. The new interior has very little in common with the original. We're dealing with a clean sheet of paper here, or maybe not. 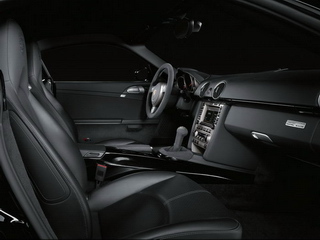 Many would say that the 981 shares many interior styling elements of the current Panamera and 991. That is true, but I see it a little differently. I say they all share the interior styling elements of the Carrera GT. The center console is higher with the sifter that's much closer to the steering wheel. The hand brake is missing (more on this later). The dash top is flatter, further away and the Sport Chrono stopwatch is recessed nicely into the dash top, eliminating the wart that drew so much criticism in the 987s. Controls are made up of many high quality push buttons logically located around the interior and able to give instant access without menus or drill downs, the way all sports cars controls should be. All of these elements make you feel as though you are sitting in a cockpit more than the older design did. The door panels are new, modern, elegant and very Carrera GT. The door's storage pockets swing out now, replacing the armrest doors of the 987. 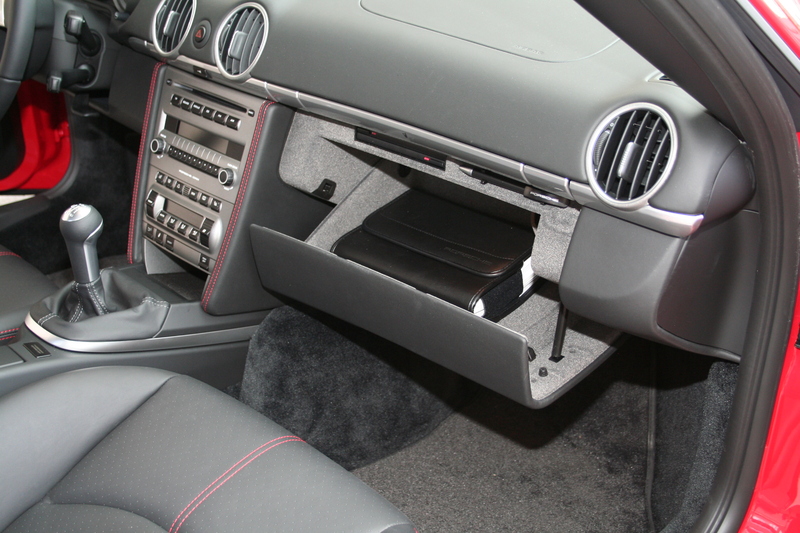 They offer a bit less storage than the 987 door pockets, so a little storage has been added in front of the door pockets and on the sides of the center console. The steering wheel tilt and telescopic controls are now electric, making it possible for the wheel to move in and up during exit and for the system to memorize different driving positions. The instrument cluster is similar to the 987 cluster in the fact that it displays 3 round gauges to the driver, but that's where the similarity ends. The new 981 cluster has a color LCD display in the right and left sides making it possible to display far more information. For the first time since 1997, Porsche has given a sports car other than the 911 an oil pressure and oil temperature gauge, (though displayed digitally without an analog gauge), once again addressing complaints about prior versions. 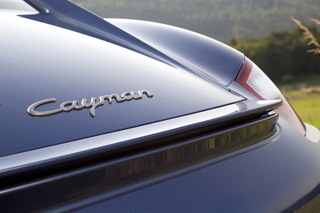 The power train of the 2014 Caymans are probably the single biggest carry over item from the previous model. The 9A1 engine is pretty new, first appearing in 2009 and continuing on into the new 981 Caymans. The biggest difference we see in the 981 is that the Cayman engine displacement has been reduced from 2.9 liters back down to 2.7 liters (like it was in 2007). 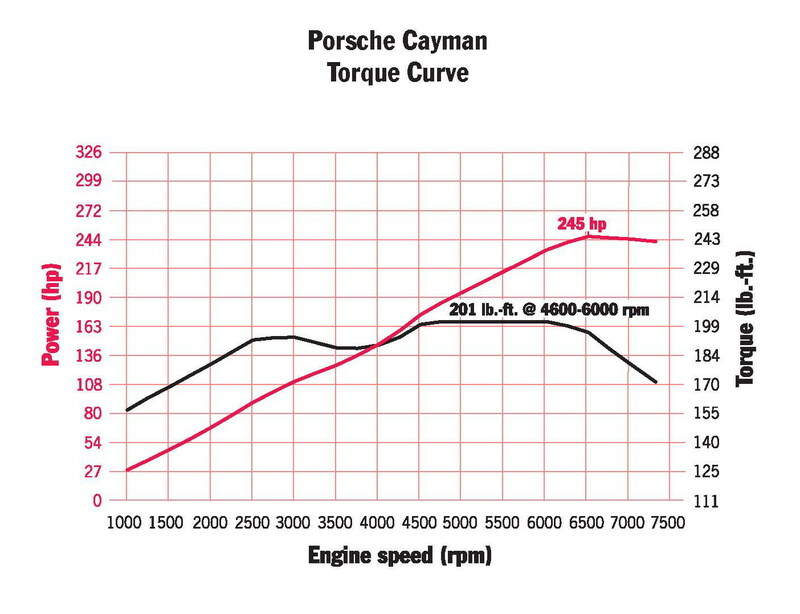 But before you cancel your order or jump to the S model take notice that the new smaller Cayman engine actually makes 10 horsepower more than the big brother it has replaced, producing 275 horsepower and propelling the new Cayman from 0-60 mph in as little as 5.1 seconds - actually faster than a 2006 Cayman S while delivering 32 mpg on the highway (when equipped with PDK and Sport Chrono Plus). 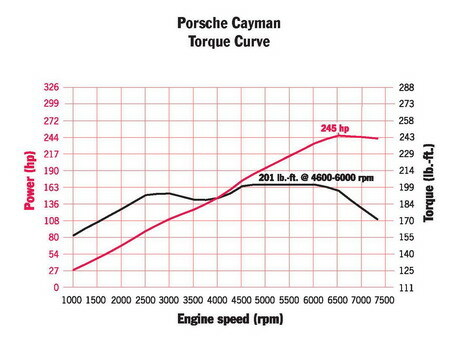 The Cayman S engine displacement is unchanged at 3.4 liters. Power is increased by 5 horsepower to 325, shooting the S from 0-60 mph in just 4.4 seconds while delivering as much as 30 miles per gallon (PDK & Sport Chrono+). There are two transmissions choices available in the 2014 Caymans, both carrying over from 2013. The Cayman and Cayman S come standard with the 6 speed manual gearbox, which means the 5 speed manual has officially been retired. The 7 speed PDK is available as an option in either model. Electrical Recuperation - The 981 gets a new Absorbed Glass Matt (AGM) battery and an intelligent alternator. These two parts work together. During coasting and braking, the alternator output will adjust to full charge - dumping electrical energy into the AGM battery. The now overcharged battery doesn't need additional charging, so the intelligent alternator can free wheel during acceleration. This will increase both efficiency and performance. Thermal Management - The cooling system (and thermostat) on the 981 are now computer controlled. During warm up, the system can be shut down completely, allowing the engine to warm up and reach it's optimal operating temperature much faster than previously possible. Under full load or sporty driving the map controlled thermostat will reduce the operating temperature to deliver maximum performance and cooling. This will result in cleaner combustion (less pollution), increased performance and reduced wear. Coasting - PDK equipped 981s will automatically disengage the clutch during coasting. This will allow the Cayman to coast without losing momentum, therefore increasing fuel efficiency. Auto Start/Stop - PDK equipped Caymans will also automatically shutdown when stopped, and automatically restart when your foot comes off the brake pedal. This feature saves fuel. It can be disabled manually by pressing the defeat button, or by enabling Sport mode. Dynamic Transmission Mounts - When equipped with Sport Chrono, a 981 Cayman will dynamically stiffen it's transmission mounts based on driver input. With the mounts at their stiffest setting, drivetrain movement is is greatly reduced improving responsiveness, particularly in tight fast transitions. Race cars use solid engine and transmission mounts. Street cars use soft dampened mounts, to reduce vibration and noise. The Dynamic Transmission mounts gives drivers the best of both worlds. 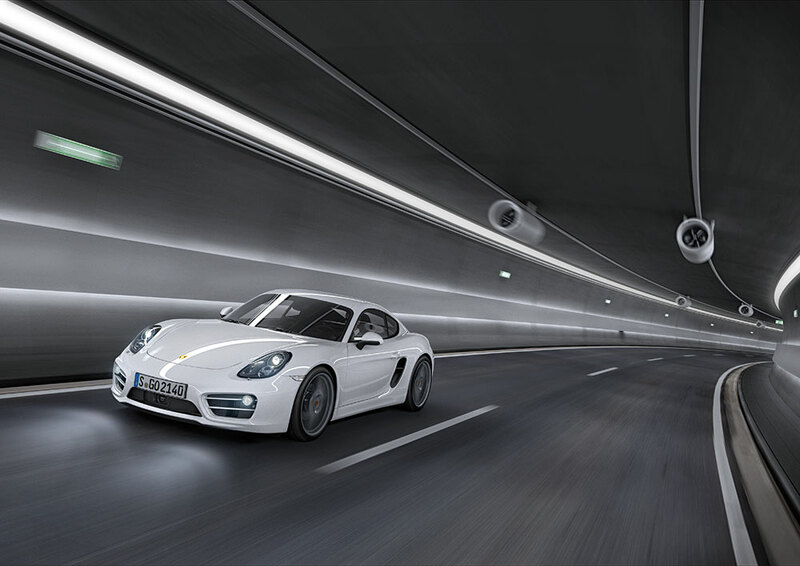 Electro Mechanical Steering - The new 981 Cayman gets an electrically boosted power steering rack. This replaces the old hydraulic pump, lines and fluid of a conventional system. An electro mechanical steering rack is far more efficient because it only consumes energy when you are turning the steering wheel, as opposed to a hydraulic system that requires energy all the time (even when going straight). The result, increased efficiency and performance. Adaptive Cruise Control - Will scan the road ahead and adjust vehicle speed when to maintain 1 of 4 driver selected following distances. Only available on PDK equipped Caymans. Burmester® Sound - A premium sound system comprised of 12 individually controlled speakers and 800 watts of amplification. Porsche Entry & Drive - Proximity key that allows an owner to enter, exit and even start a Cayman without pressing using a key. Simply approach the vehicle and touch the door handle. If you have the proximity key on you, the door will unlock. This feature is optional. Electric Parking Brake - The subject of much debate, the parking brake in the new Cayman is now electronic. This saves weight by eliminating the old school handle mechanism and cables. It also adds control, like the ability to automatically disengage the brake if you put a PDK Cayman in gear and hit the accelerator. The elimination of the handle provides a cleaner interior. Revised PASM - PASM is still available, but it is now better than ever incorporating four new sensors that measure damper and wheel movement, and new software modules that will further enhance transparency and driving performance. 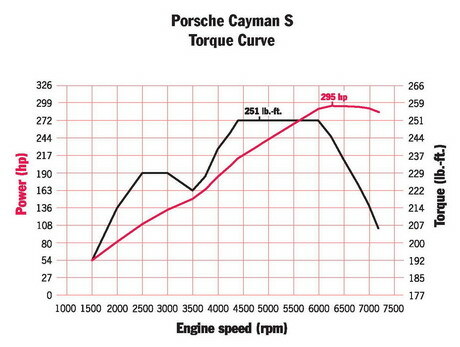 Torque Vectoring - Prior Caymans enjoyed the benefits of PSM (Porsche Stability Management). 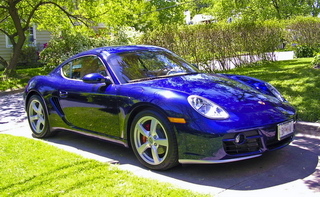 The 981 Cayman has both PSM and PTV (Porsche Torque Vectoring). PSM provides benefits only when a vehicle's control is compromised. 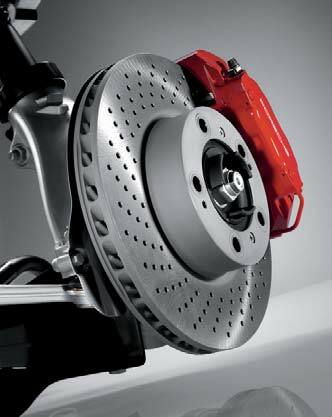 PTV helps all the time by applying moderate brake pressure to the inside rear brake when the vehicle is turning. 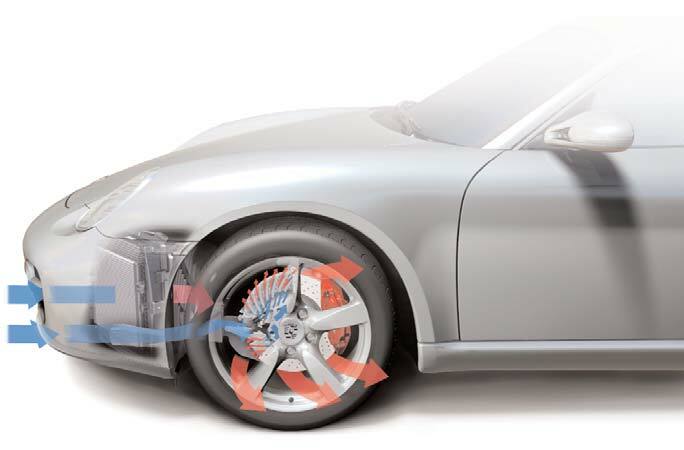 This brake application will cause torque around a Caymans vertical axis, therefore helping the car to turn (the same way a large dual engine motor boat turns by applying different amounts of engine RPM). The benefits are staggering. 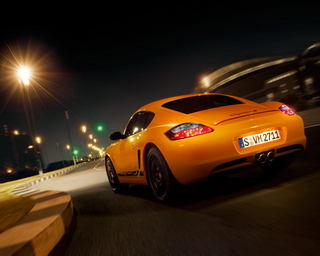 The 981 Cayman was 10 seconds faster around the Nürburgring, and most attribute that to PTV. New Rear Wing - The new rear aerodynamic wing is has 40% more area than that of a 987, providing more down force. More down force is always possible by increasing area, but it usually comes with more drag. This new wing has more area, more down force yet less drag. Just seven models year into the Cayman's history and the 2014 Cayman has given me a lot to write about. It's pretty clear that Porsche has not forgotten about the Sports Car purists. 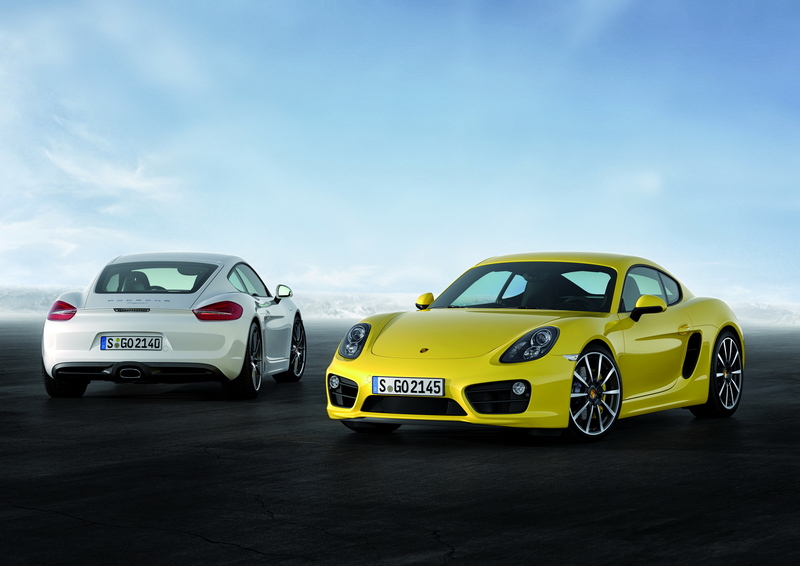 The new 981 Cayman was clearly made for them. We've seen so many innovations, many of them clearly aimed at increasing efficiency, yet performance has not been forgotten as it seems to go hand in hand with each innovation. Owners of 987 Caymans are often seen installing "Under Drive Pulleys", "Low Temperature Thermostats", "Solid Engine Mounts", "Bigger Wings" and so on. It seems like Porsche has been listening, watching, taking notes and reacting. Bold Blue - Specification value greater than that of preceding model year. Bold Red - Specification value less than that of preceding model year. Acceleration (0-60 mph) 5.4 sec. 5.3 sec. / 5.1 sec. 4.7 sec. 4.6 sec. / 4.4 sec. Promotional Video: "The New Cayman. A First Look." © Copyright Dr. Ing. h.c. F. Porsche AG July 2013 *Photographs and video property of Porsche AG, used under license by the PCA Cayman Register.